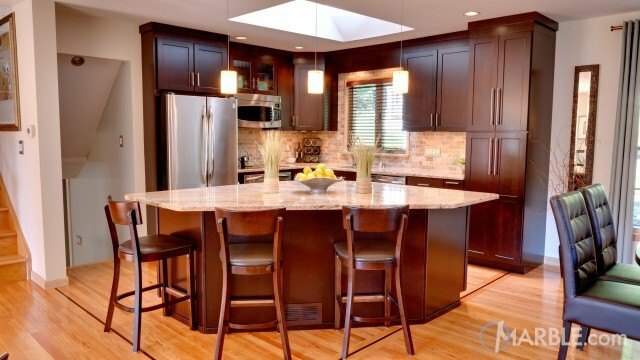 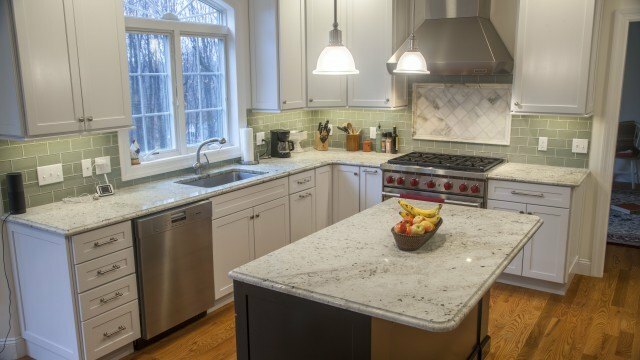 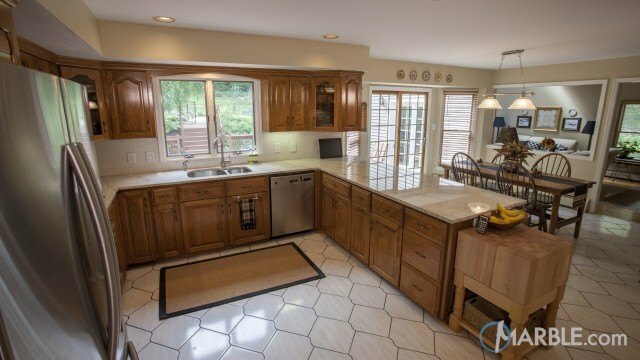 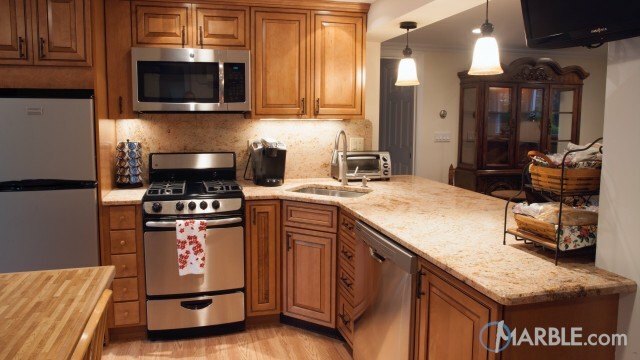 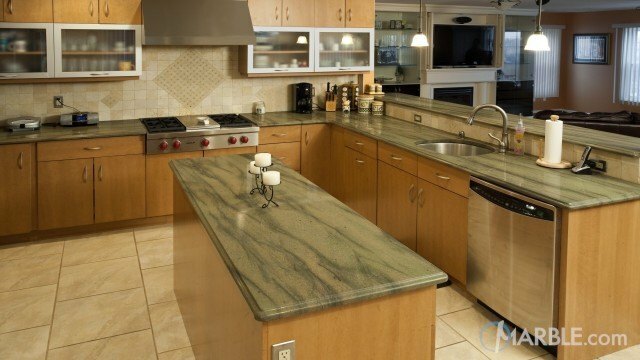 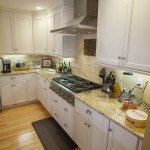 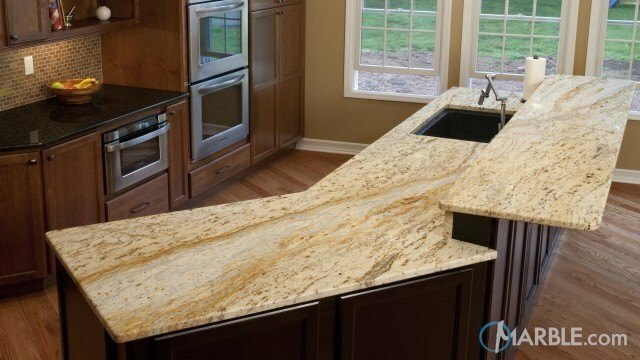 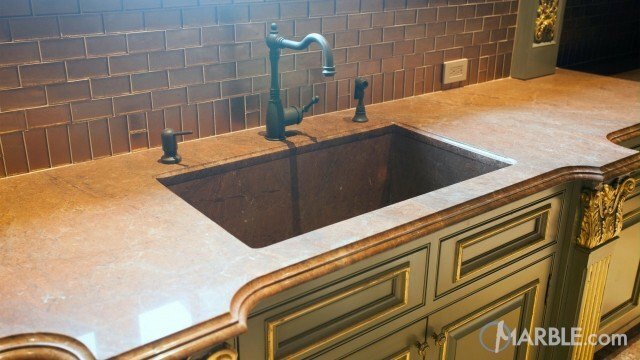 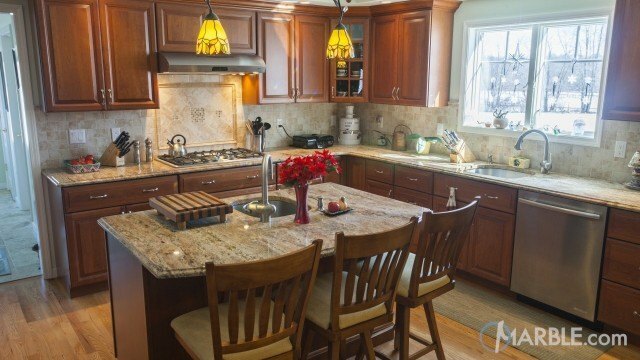 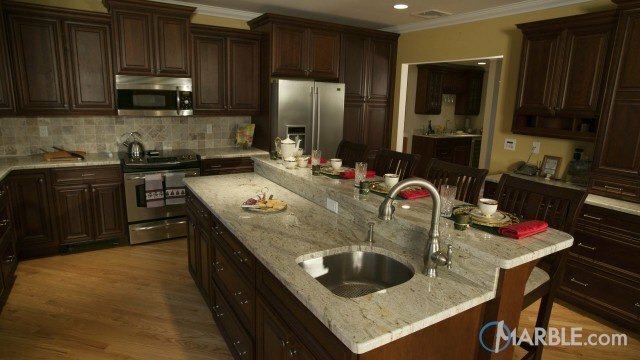 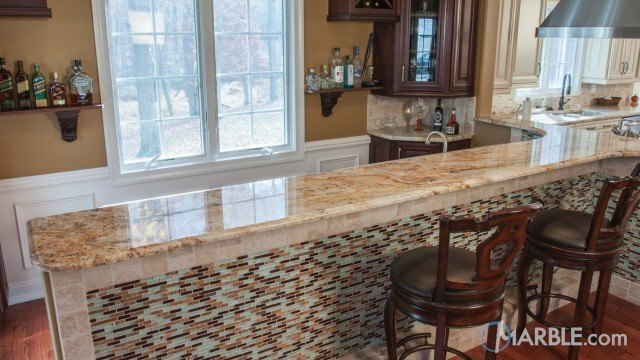 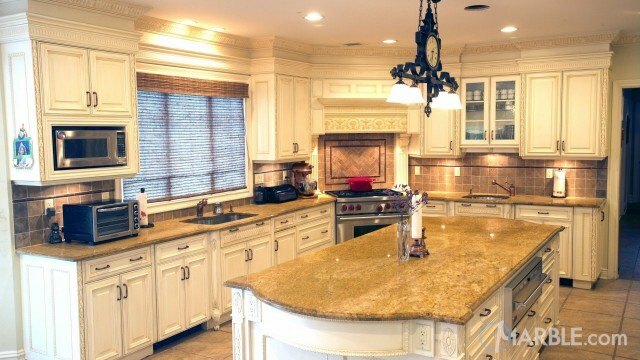 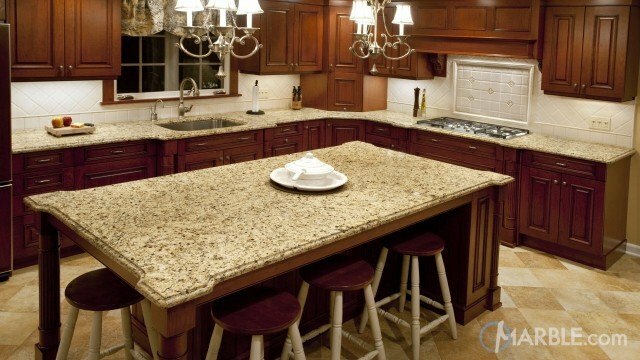 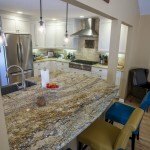 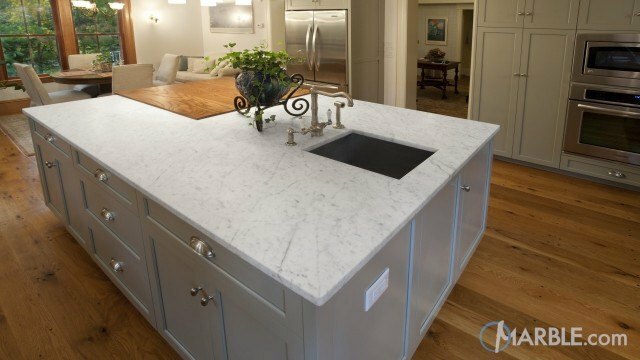 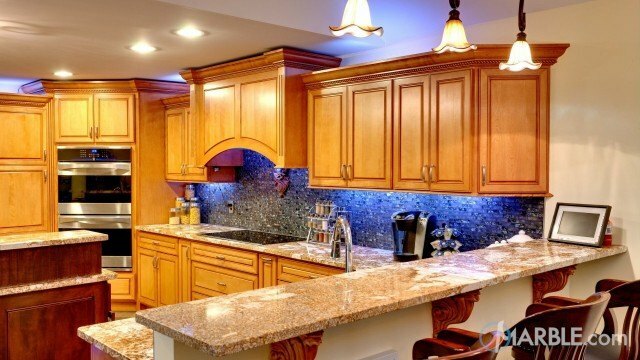 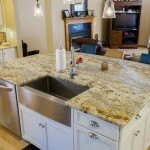 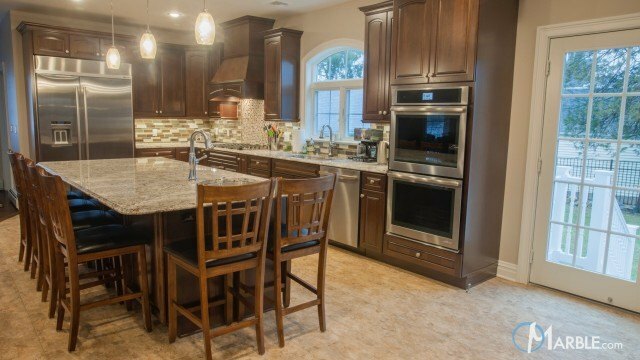 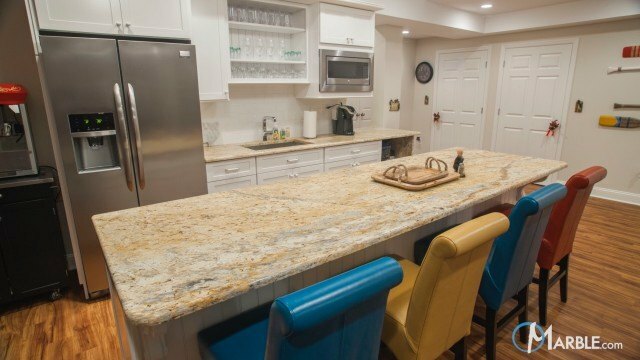 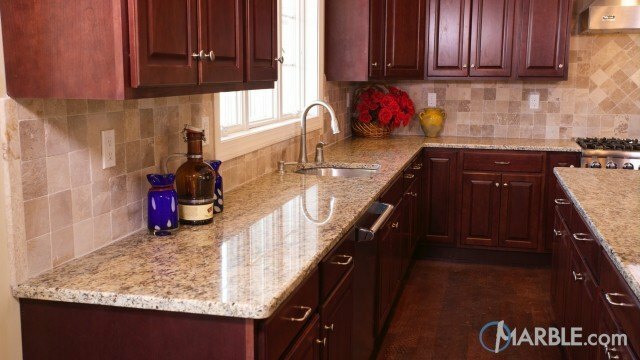 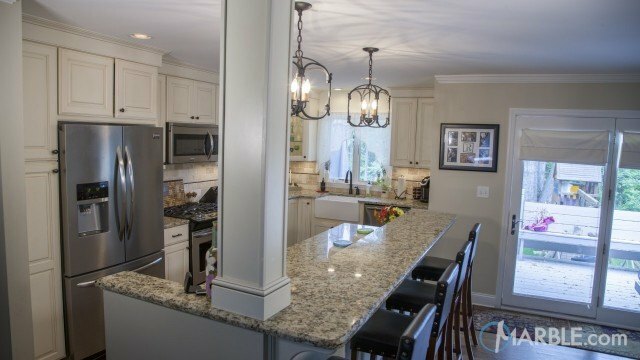 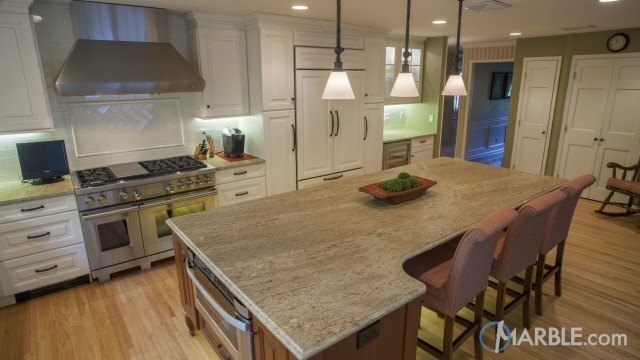 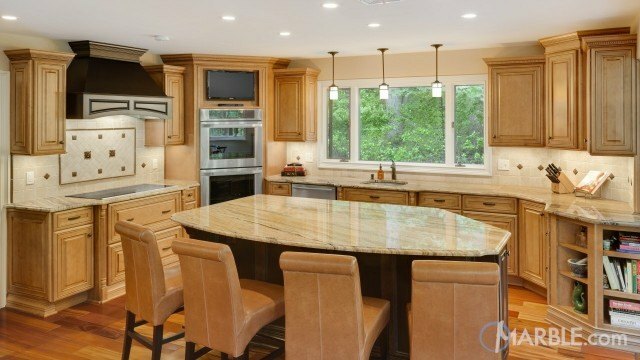 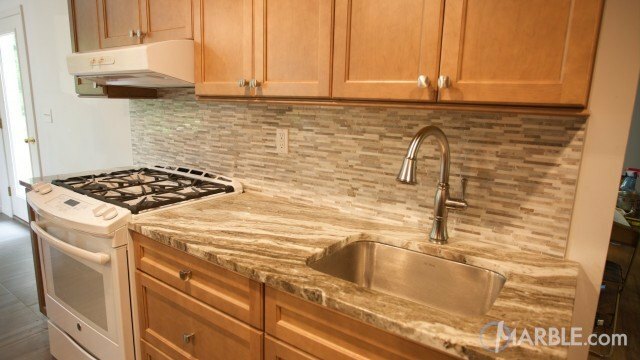 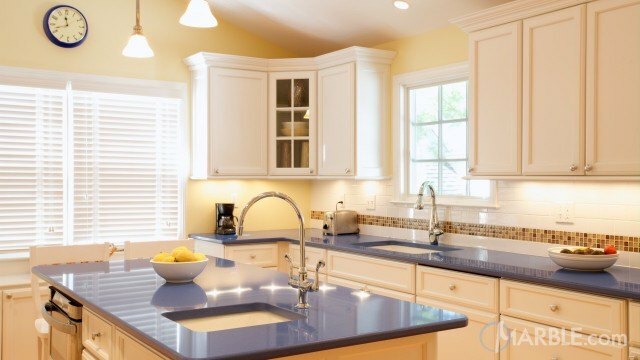 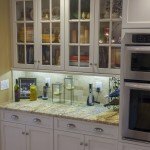 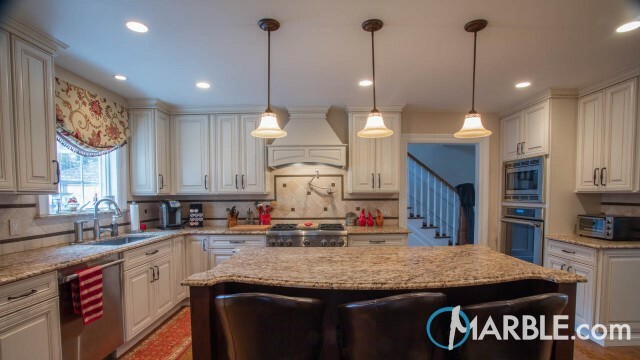 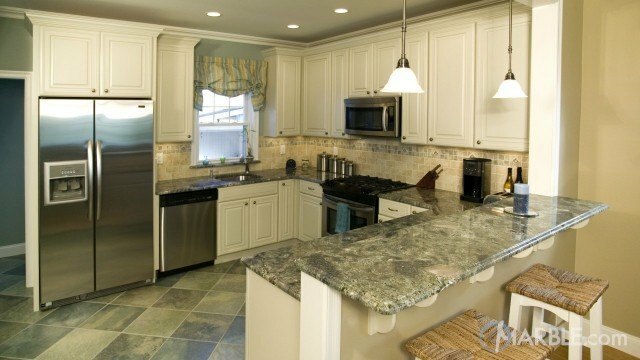 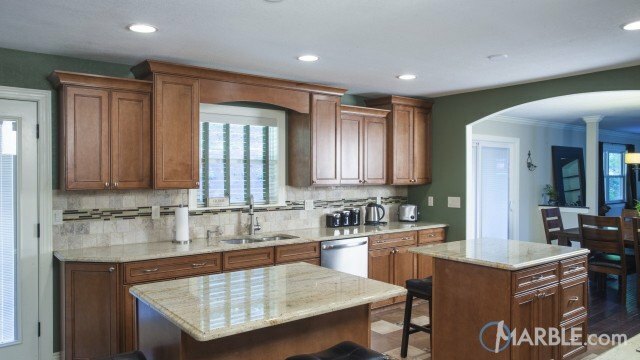 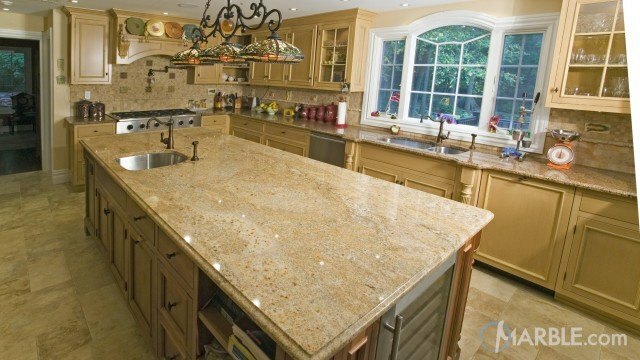 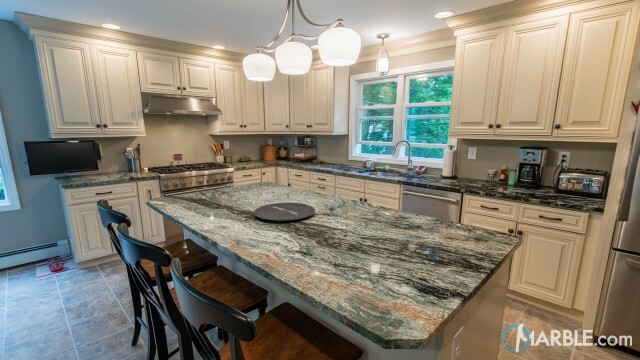 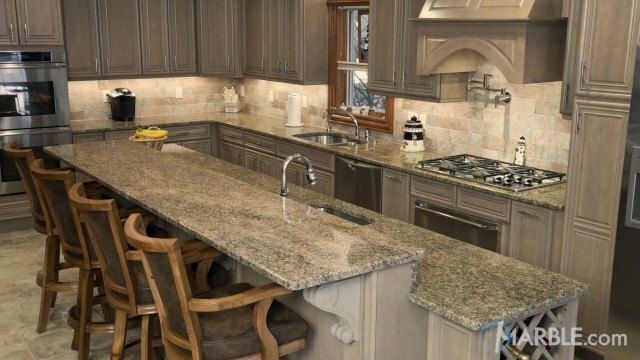 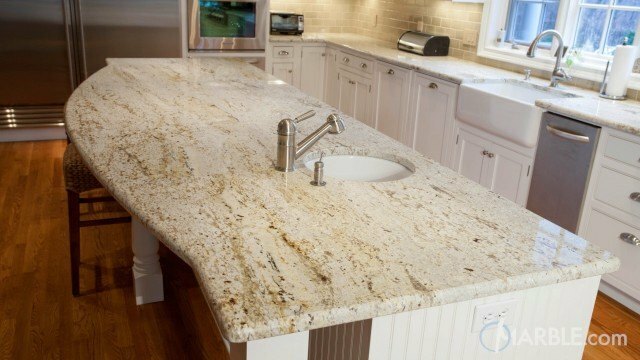 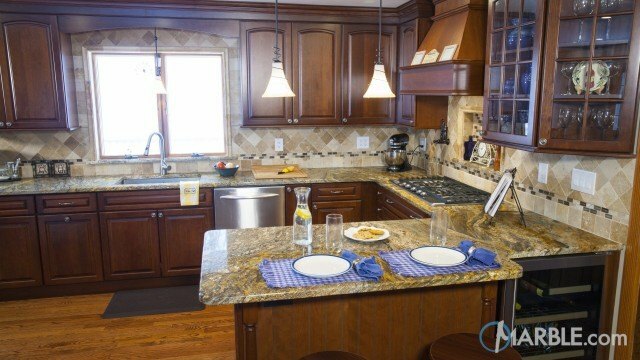 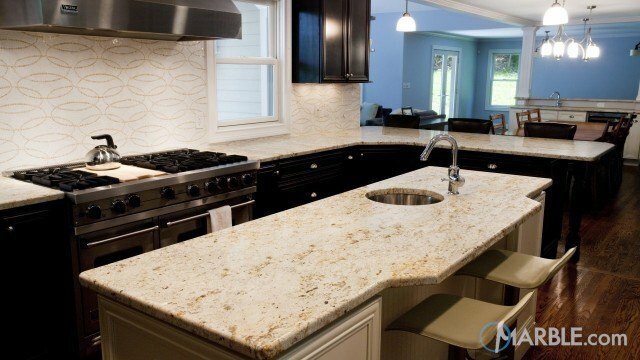 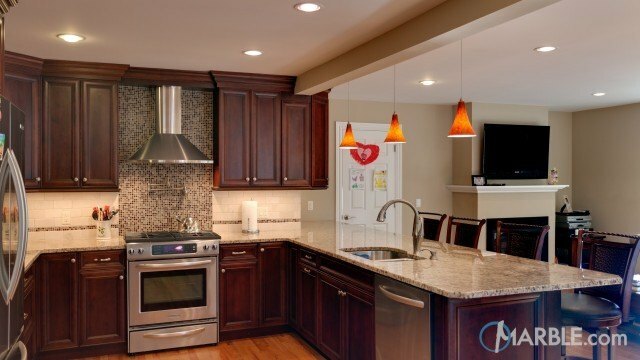 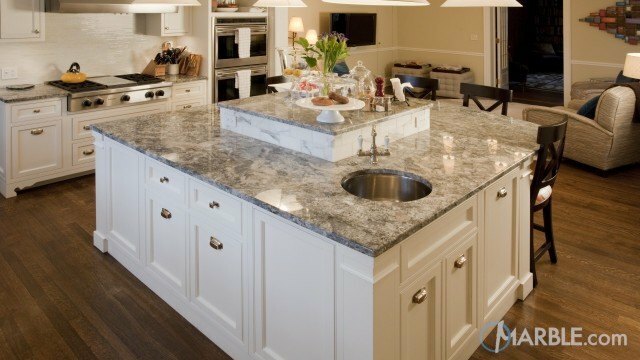 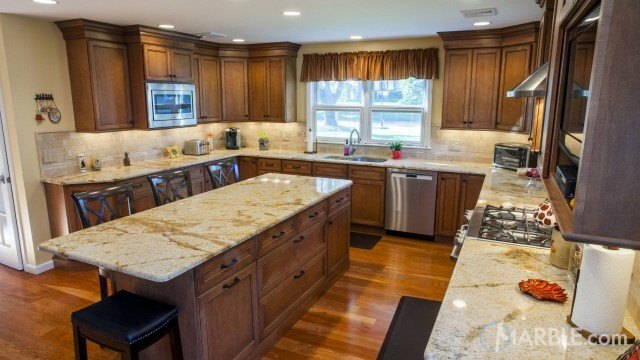 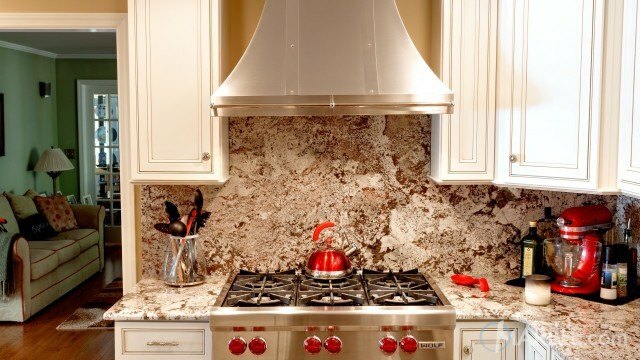 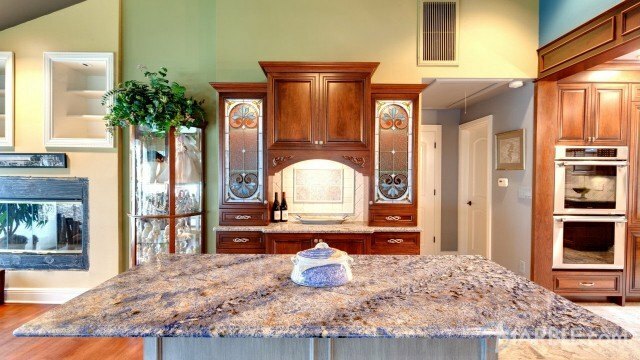 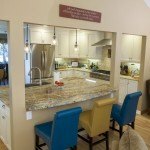 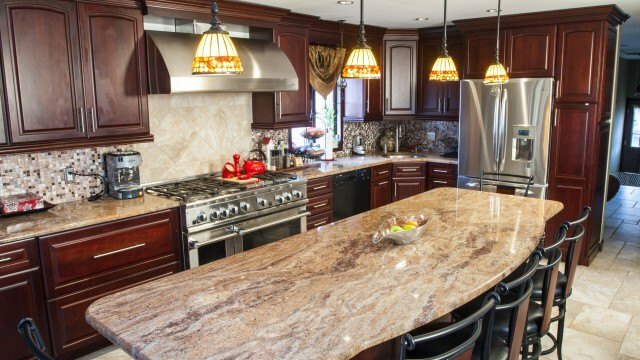 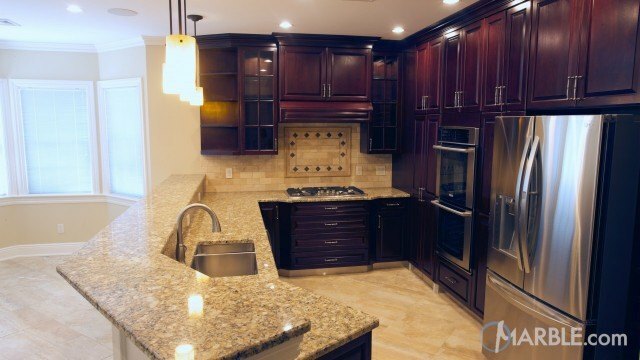 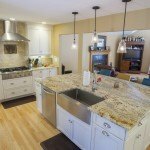 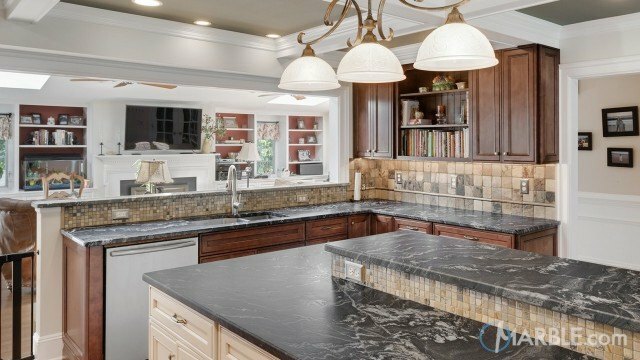 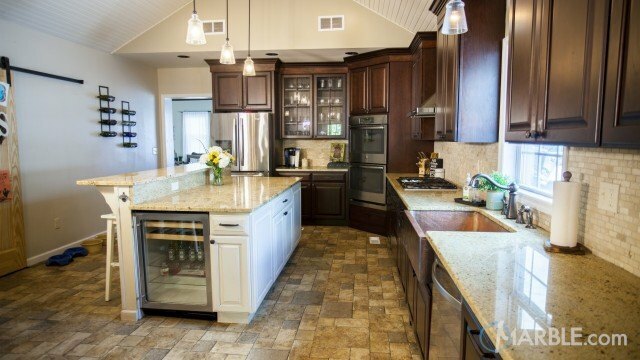 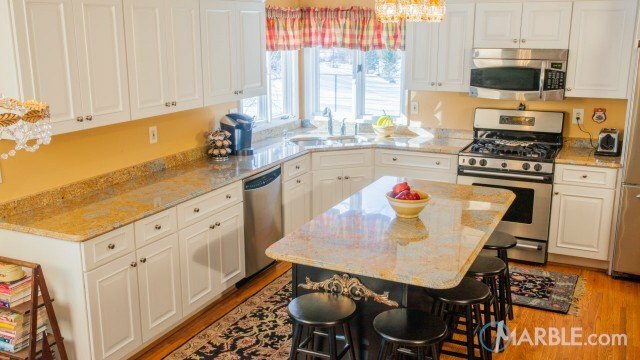 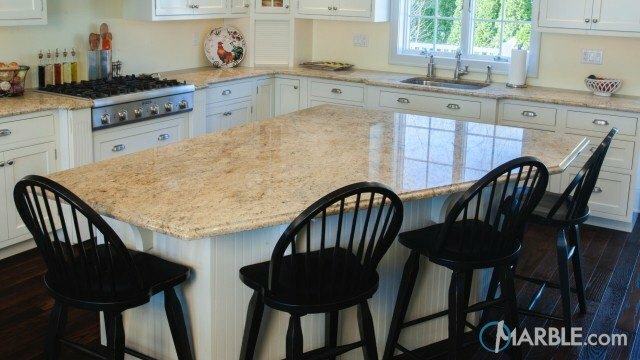 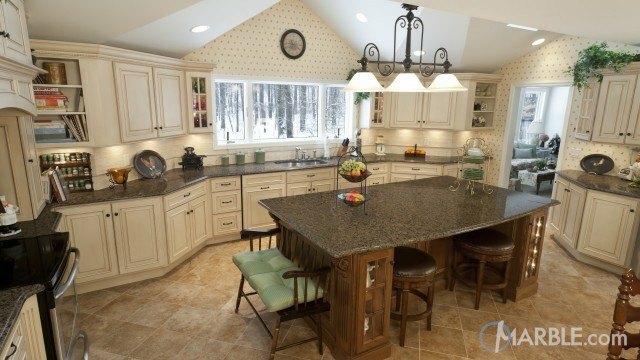 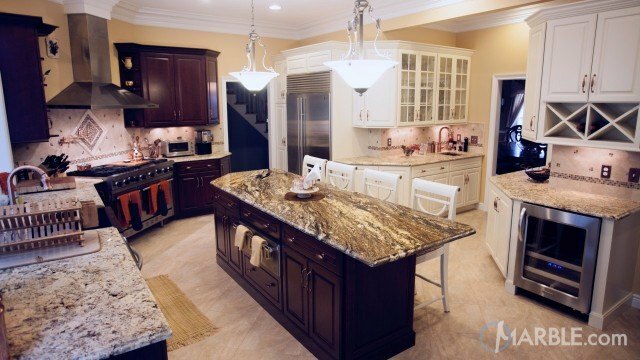 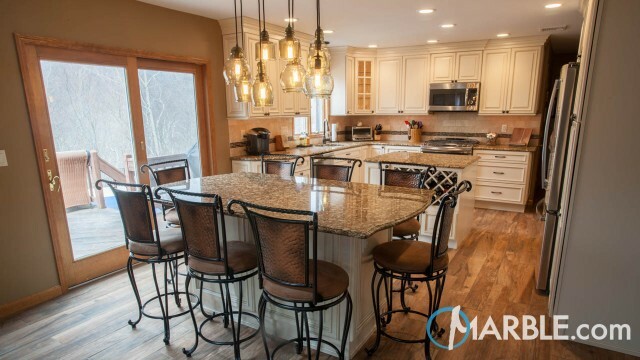 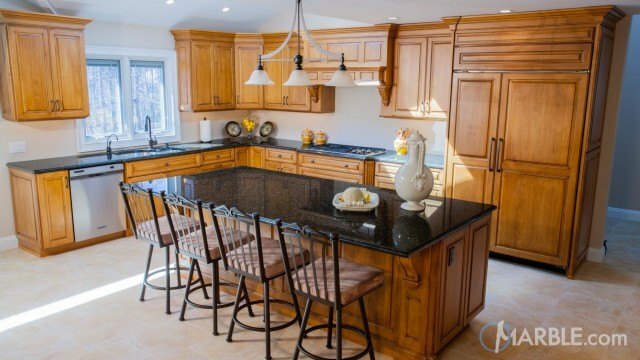 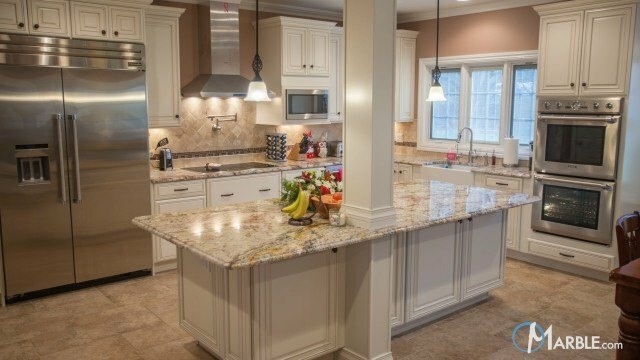 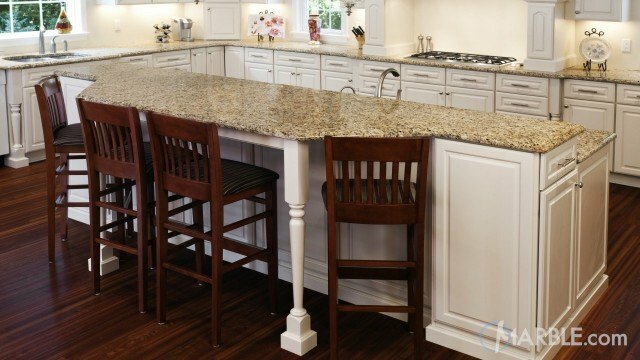 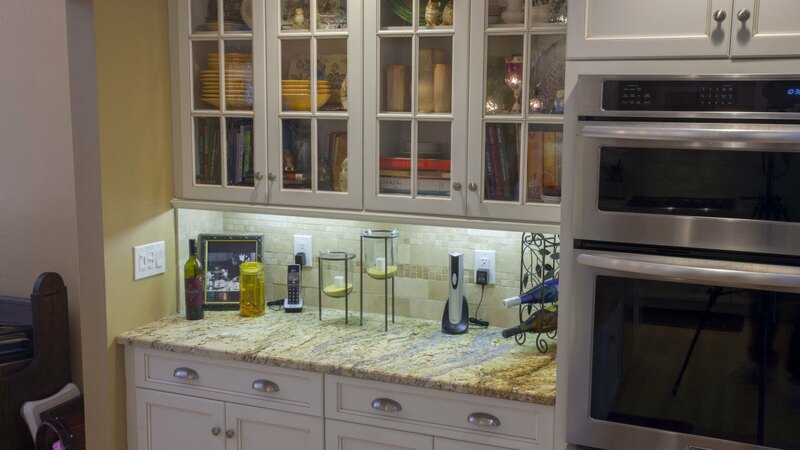 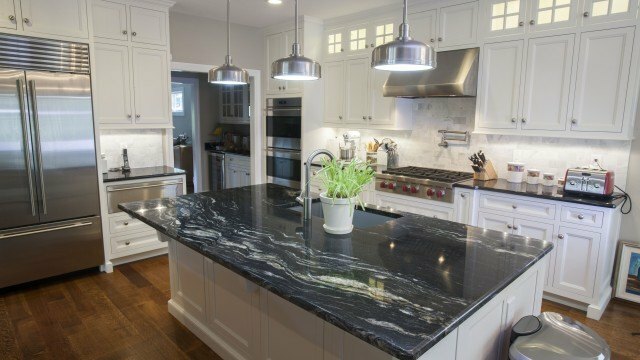 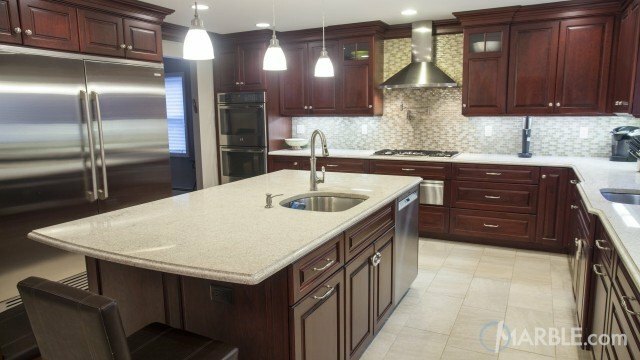 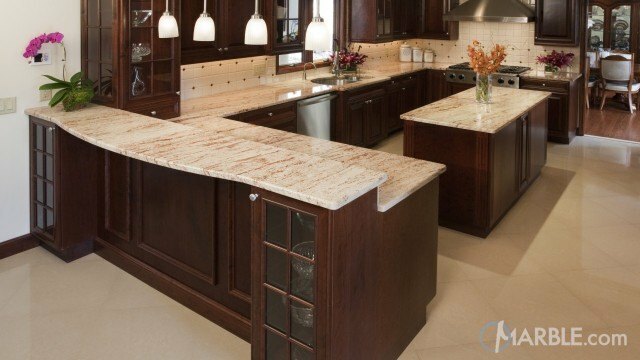 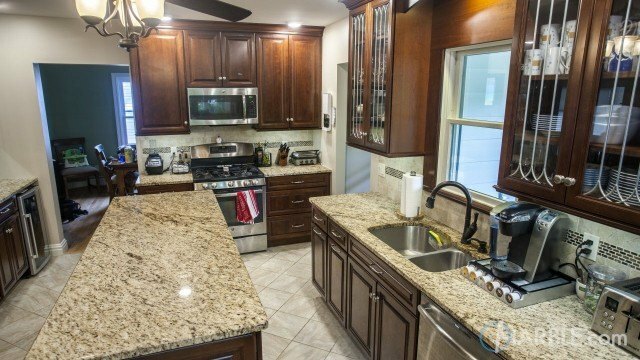 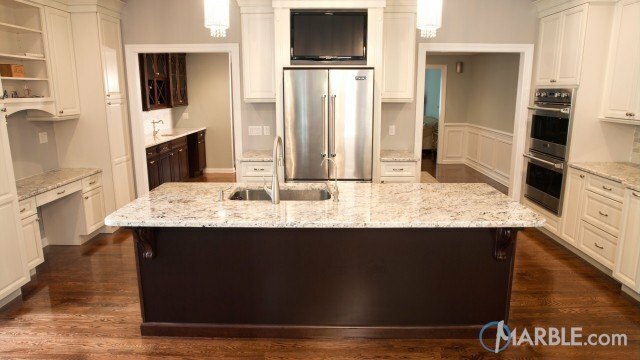 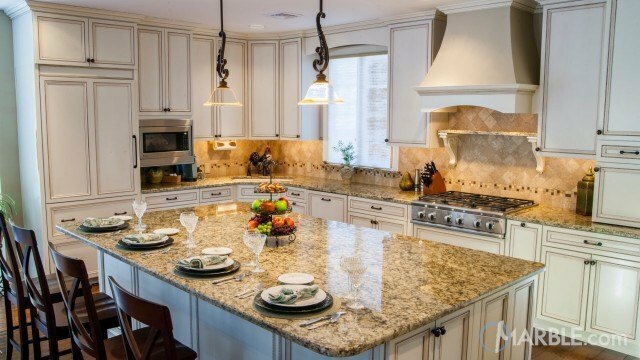 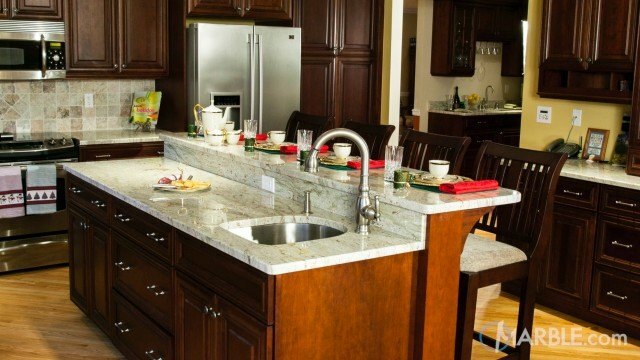 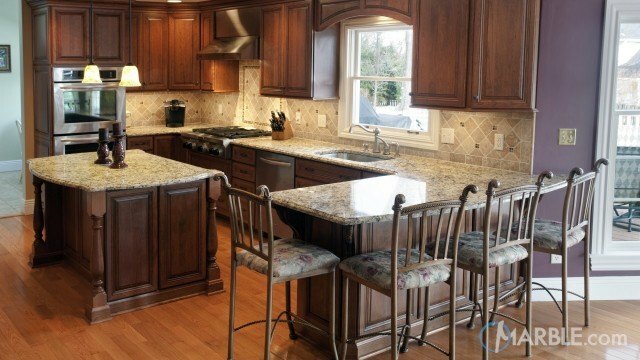 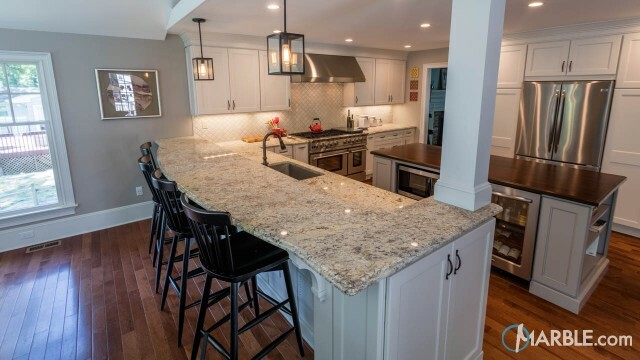 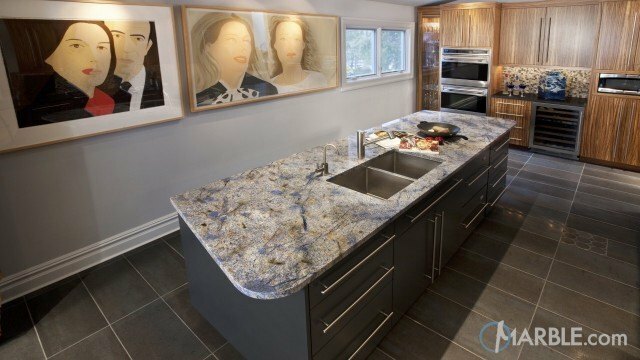 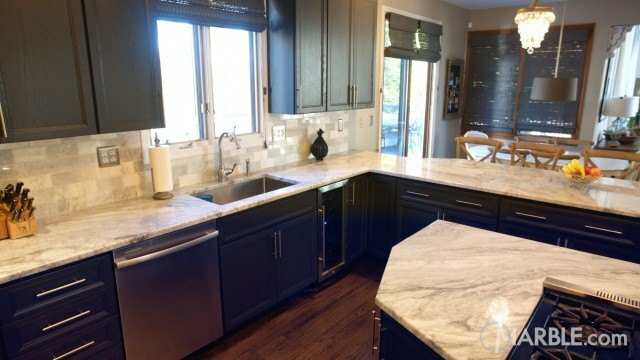 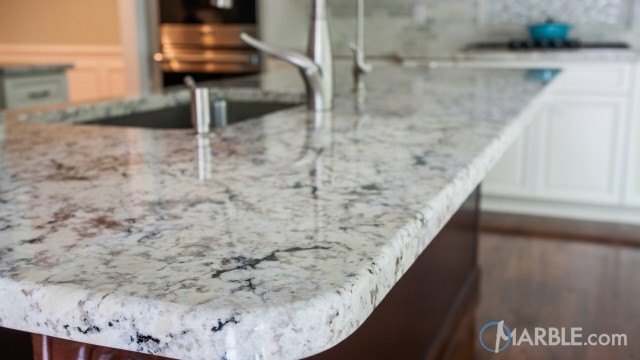 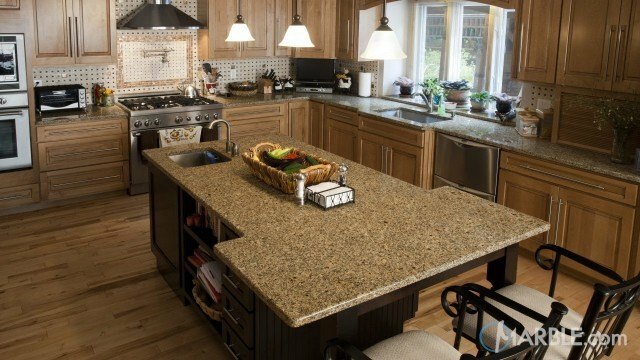 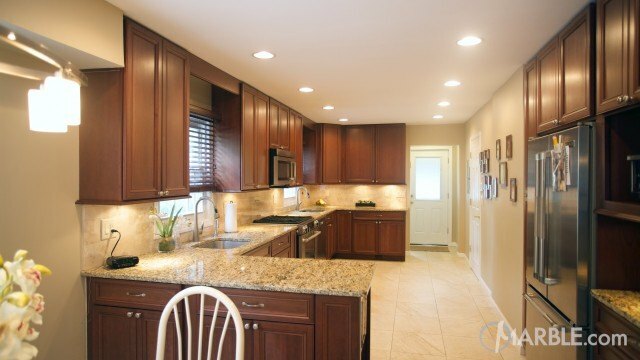 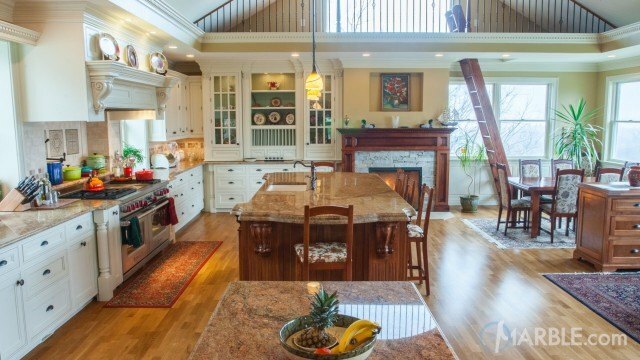 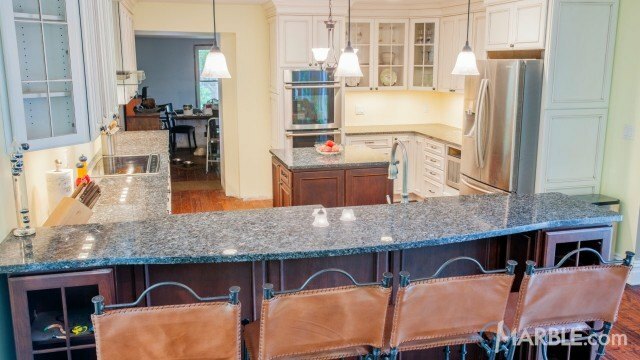 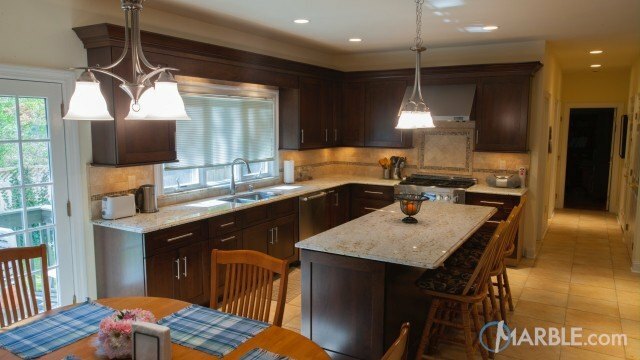 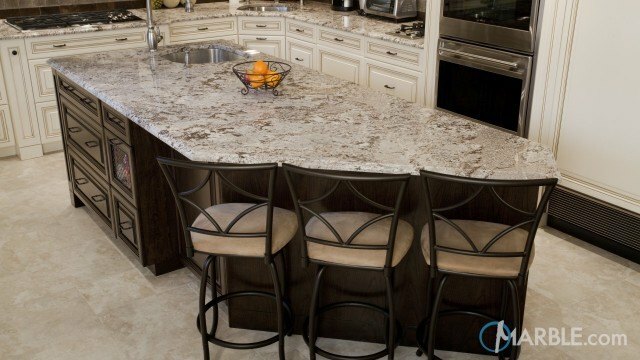 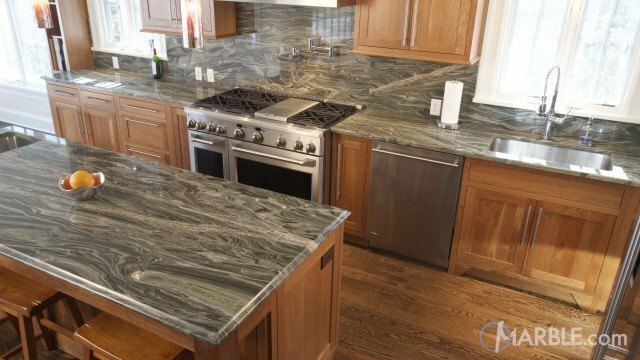 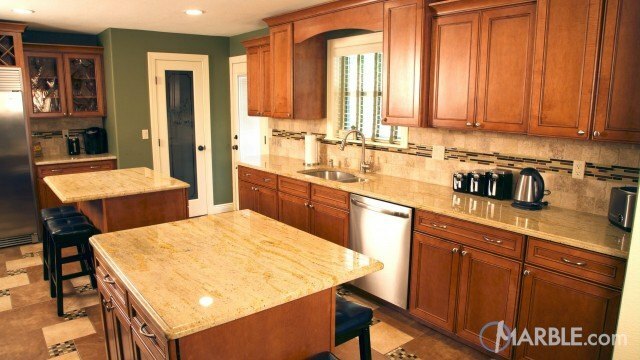 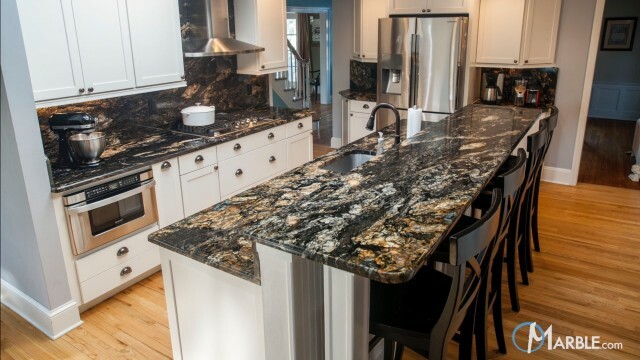 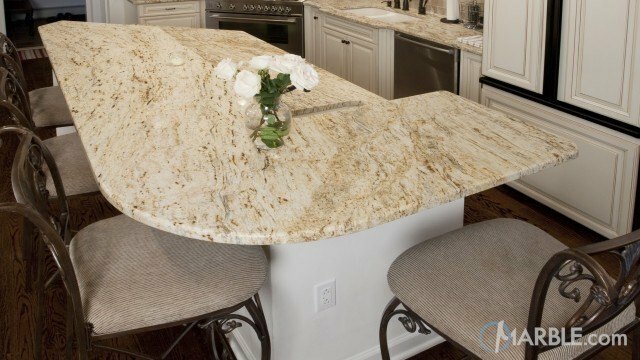 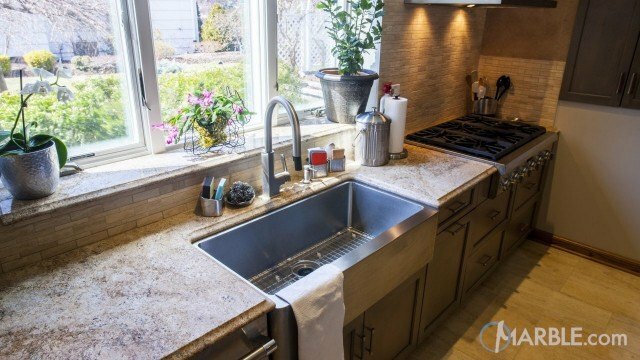 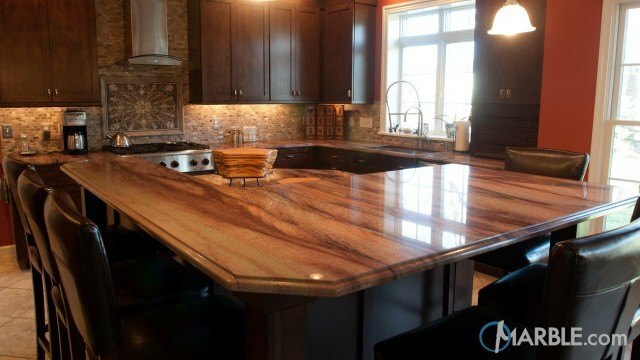 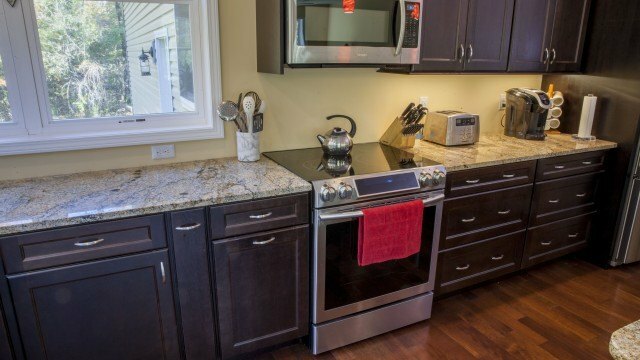 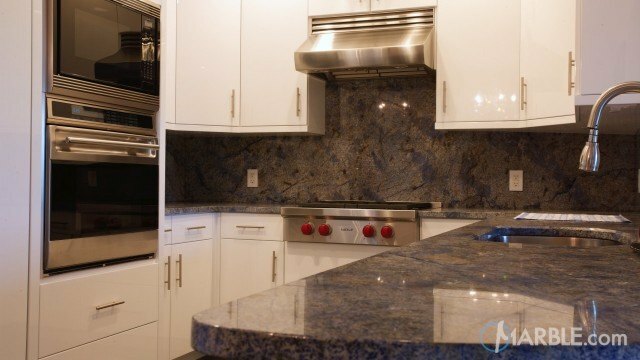 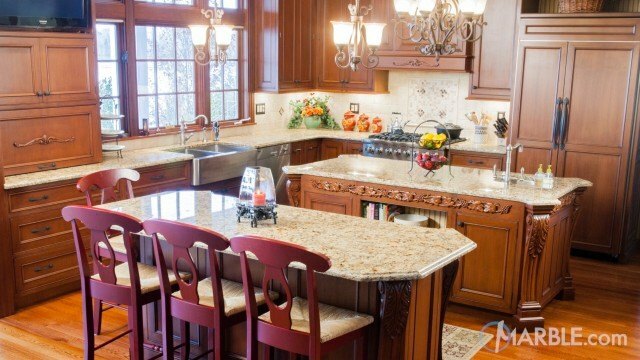 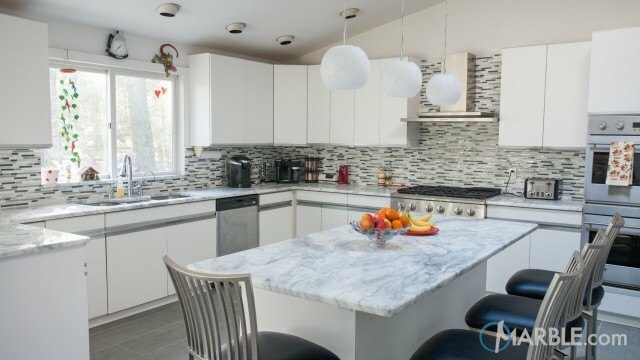 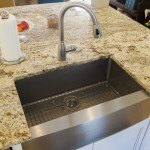 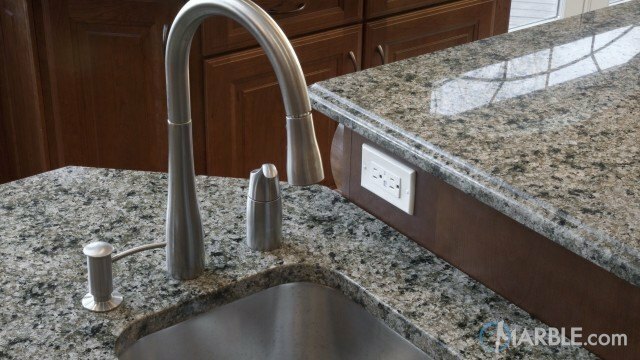 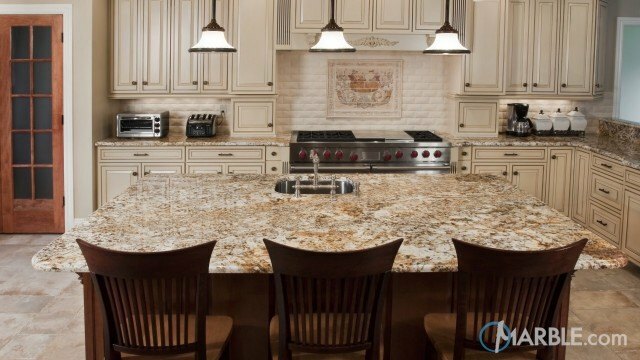 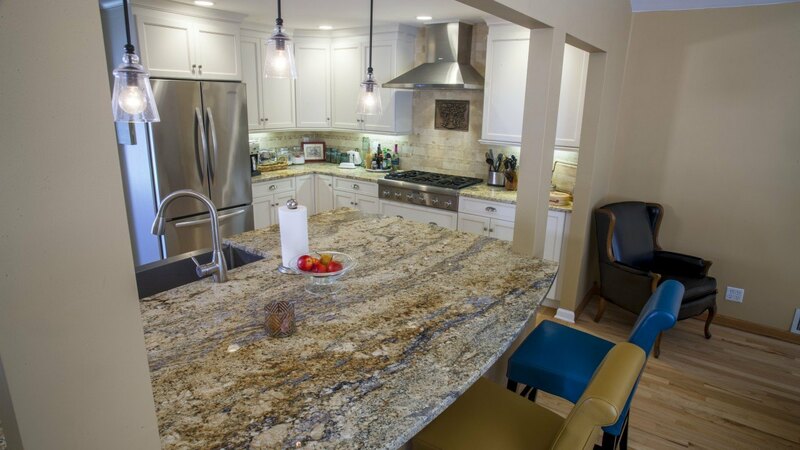 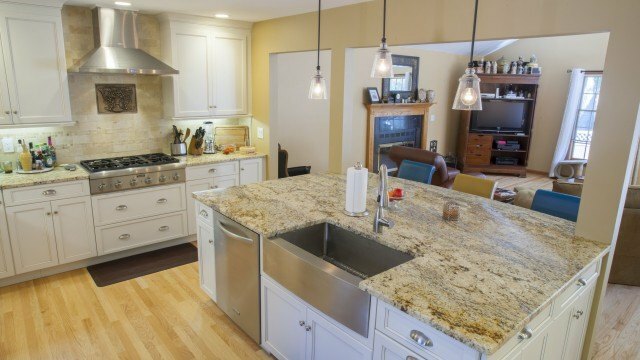 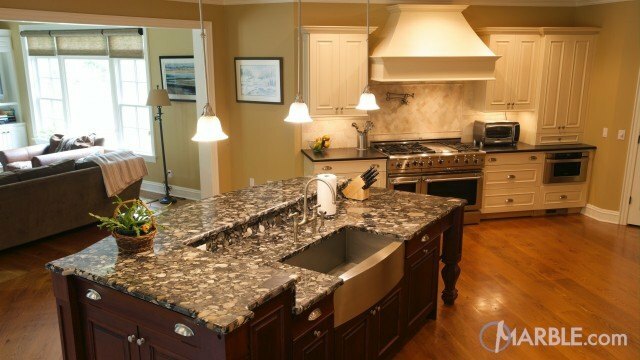 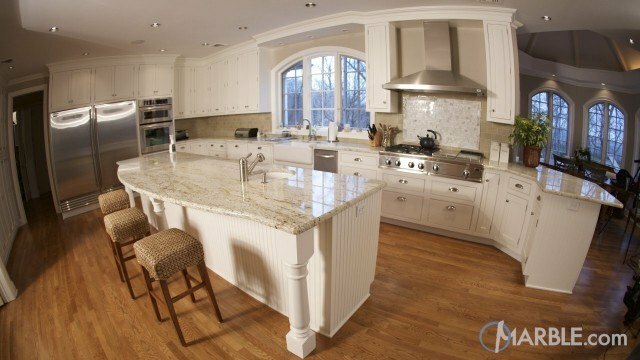 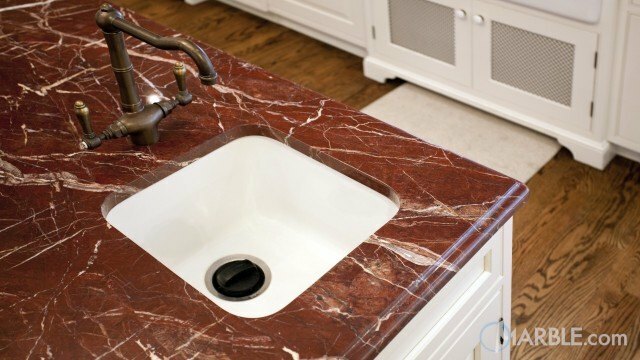 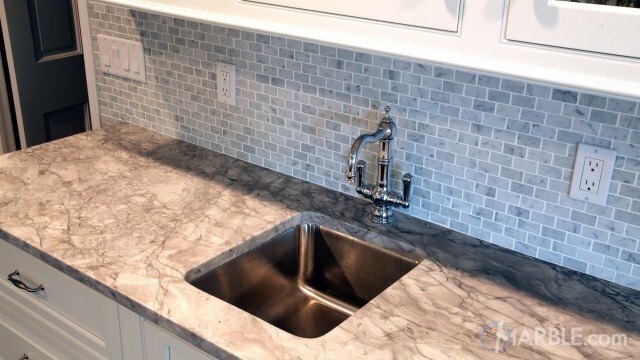 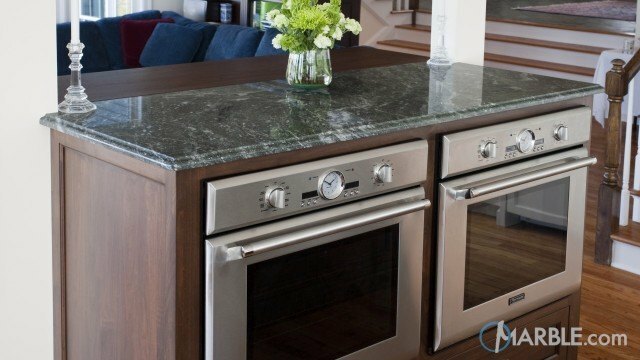 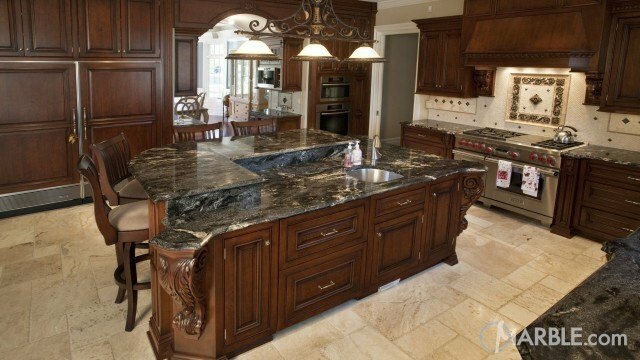 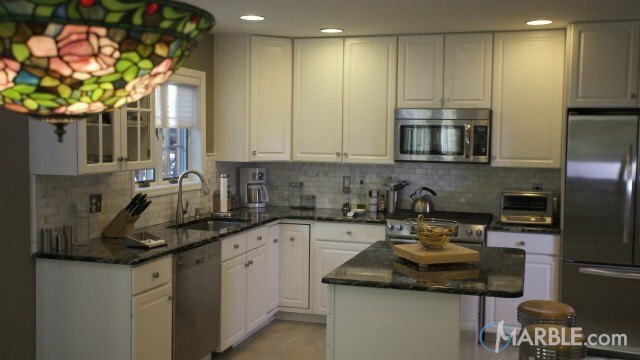 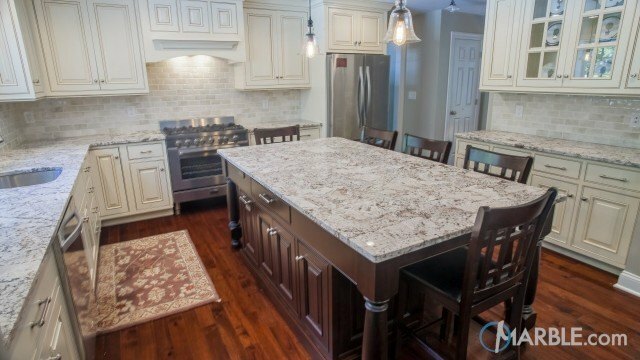 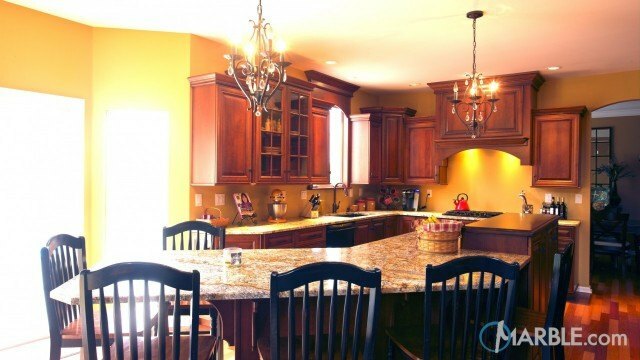 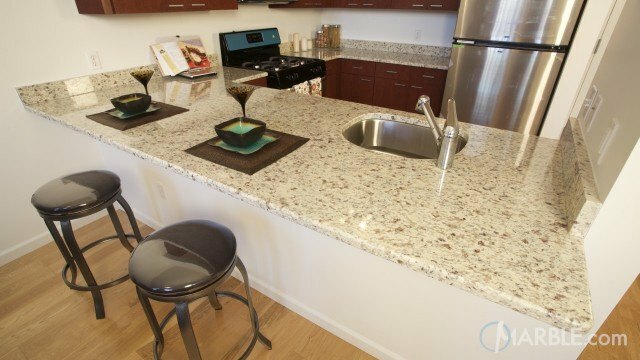 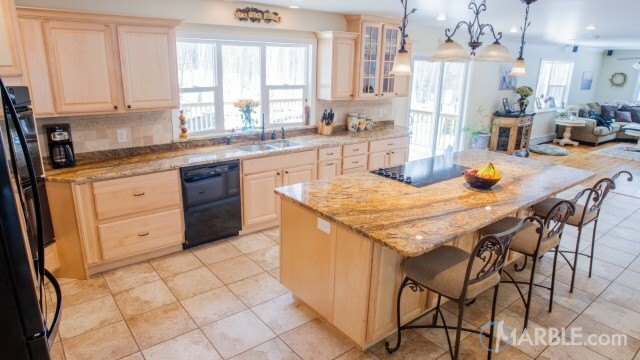 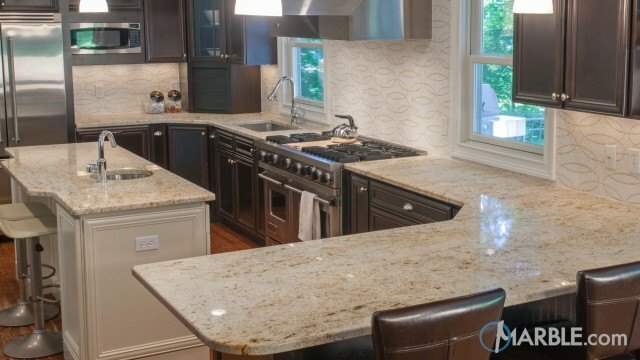 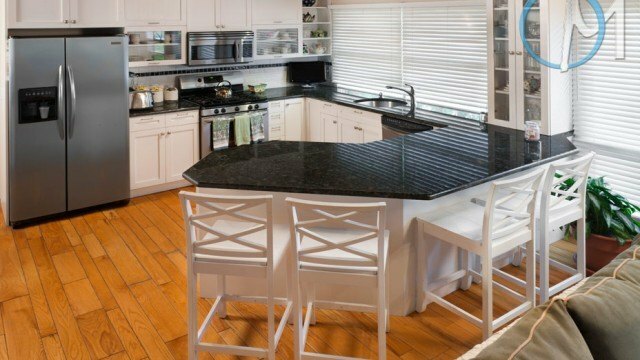 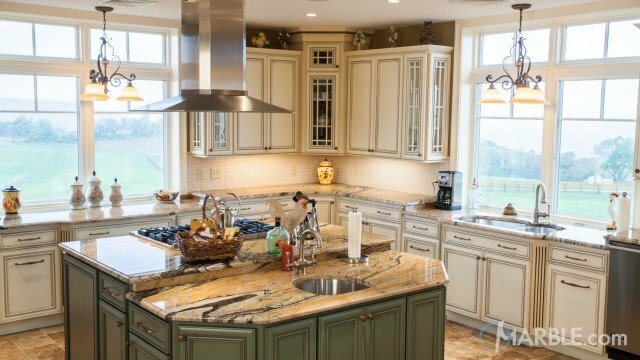 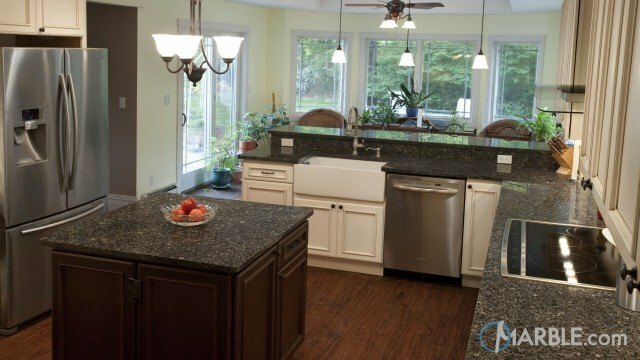 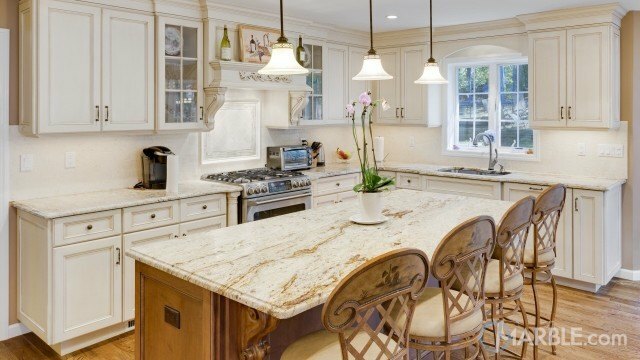 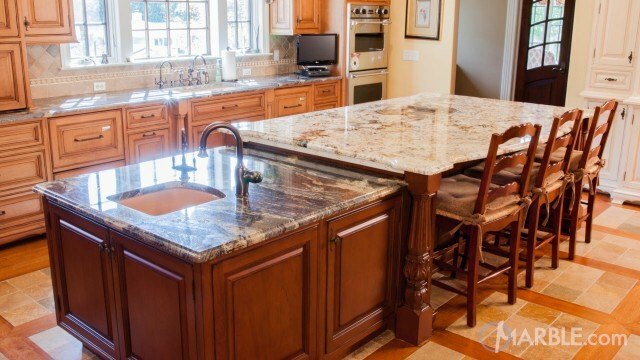 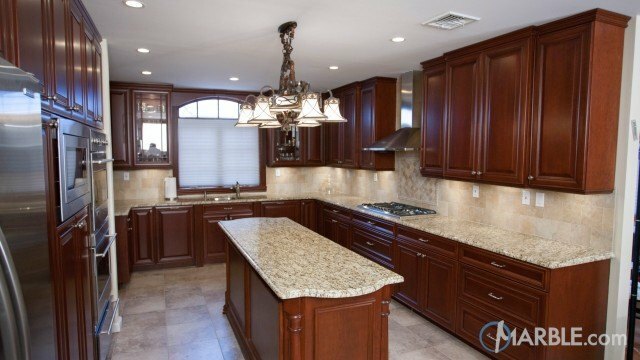 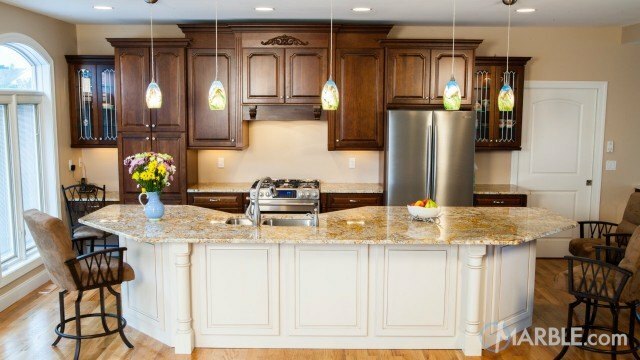 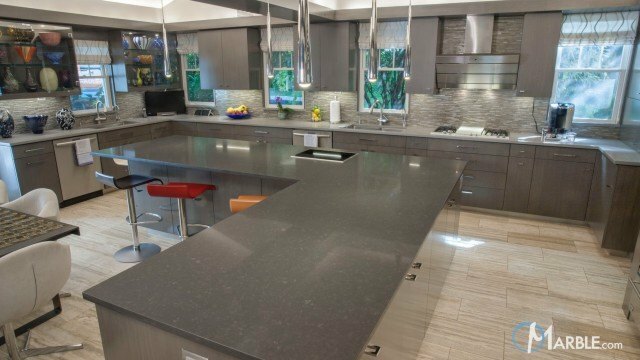 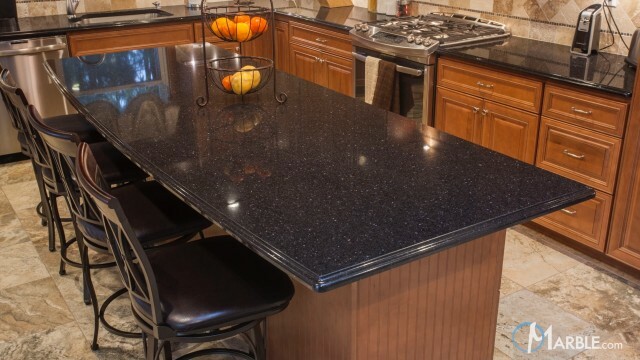 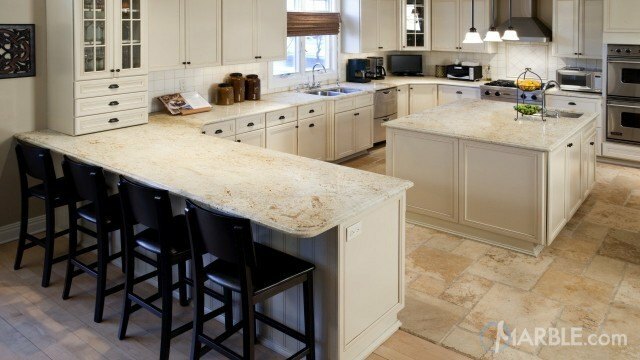 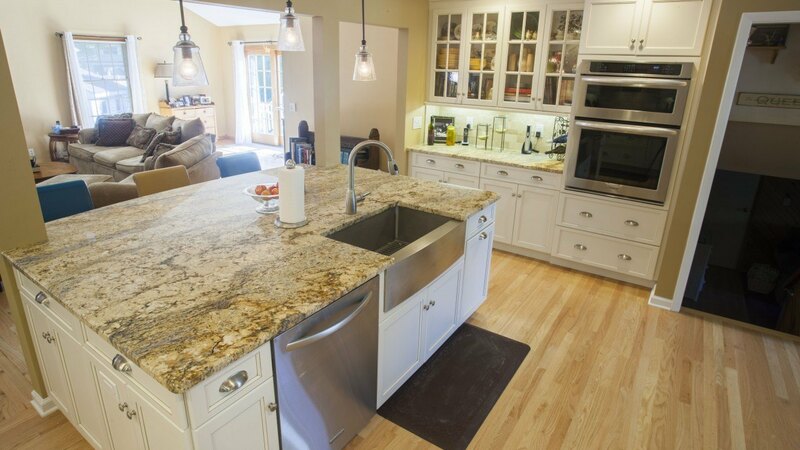 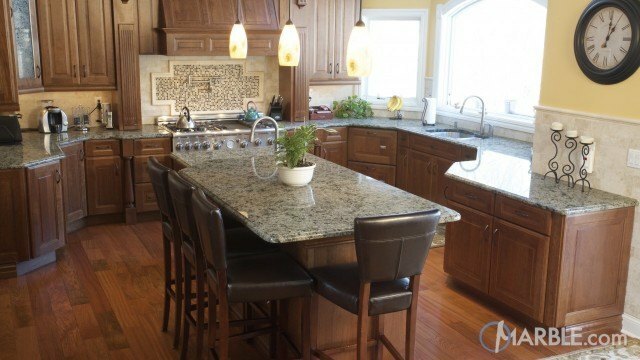 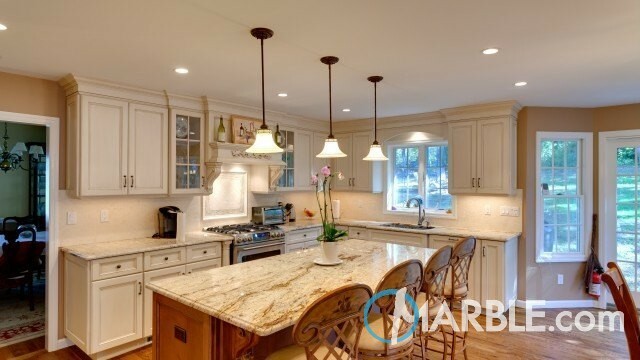 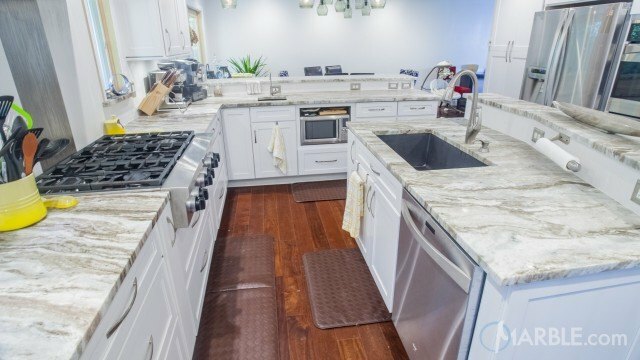 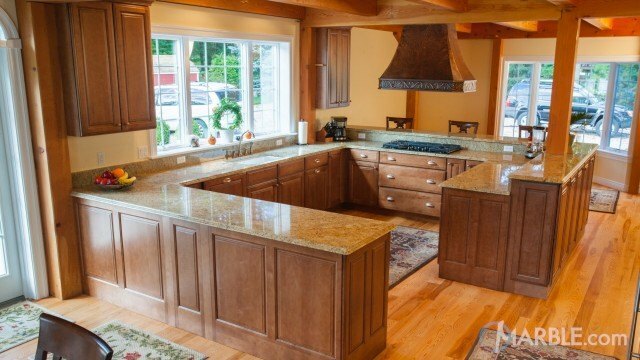 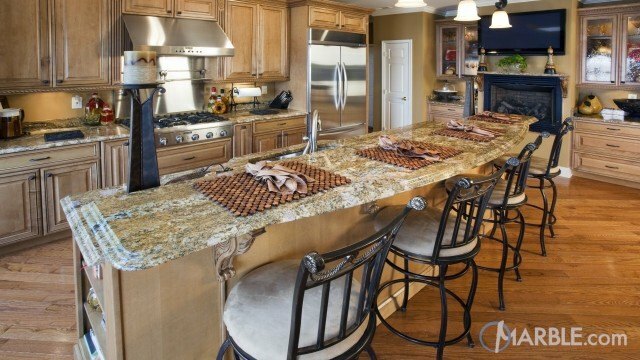 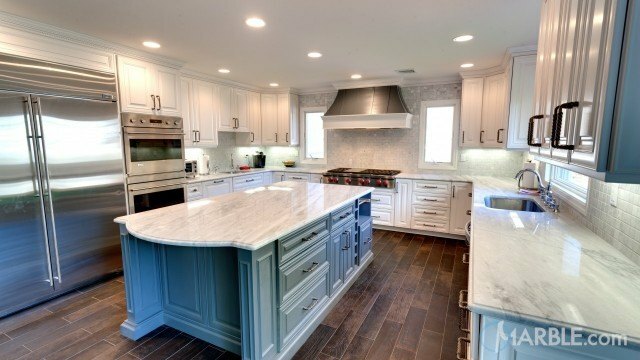 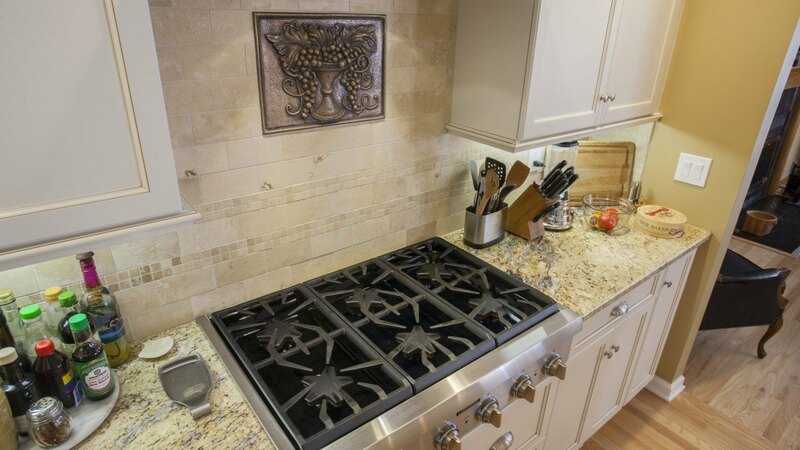 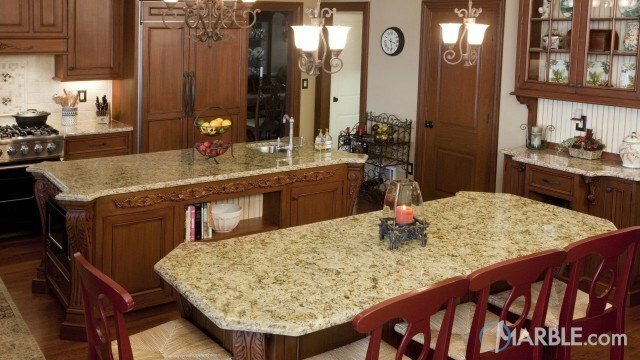 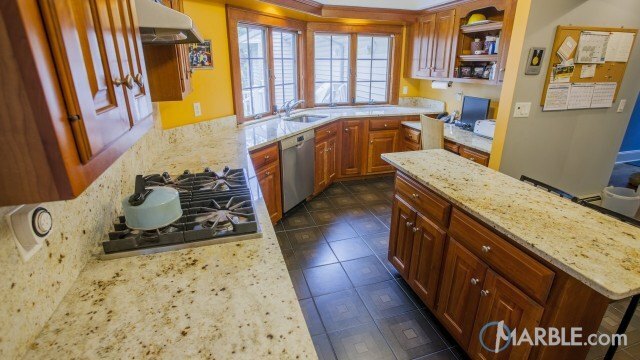 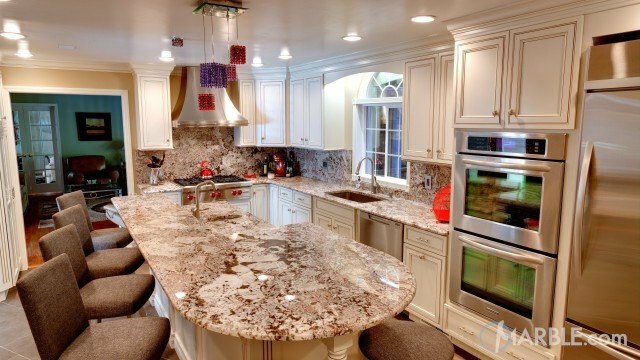 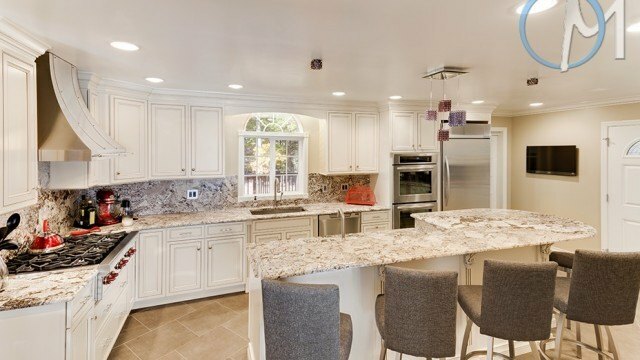 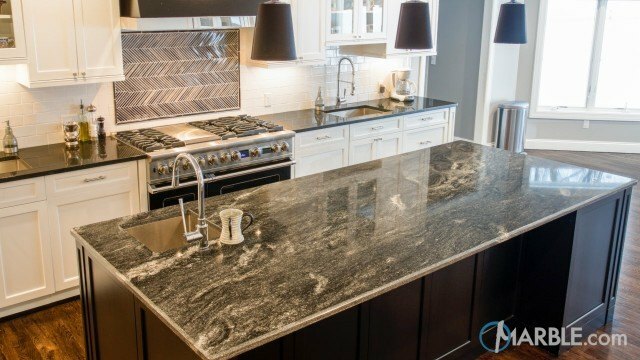 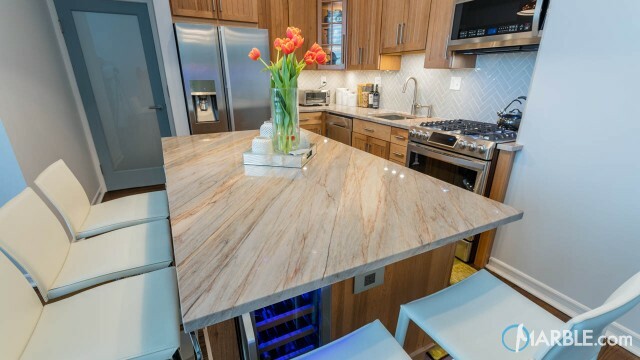 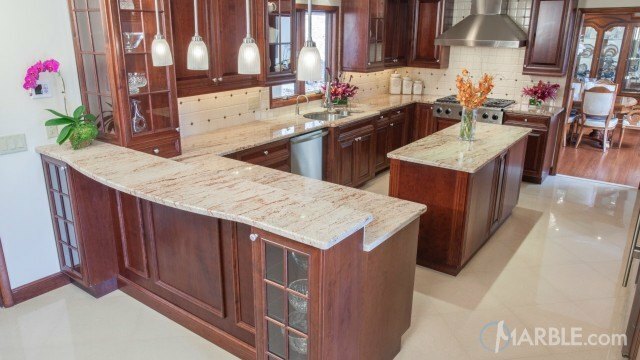 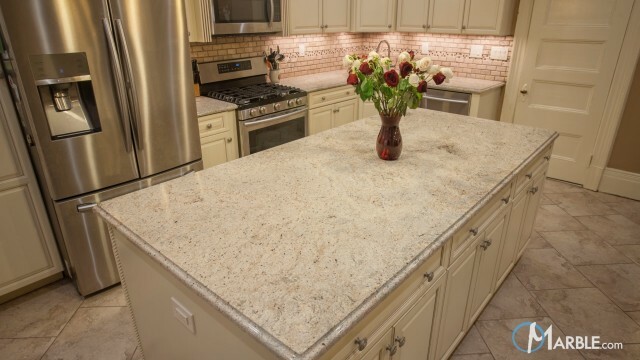 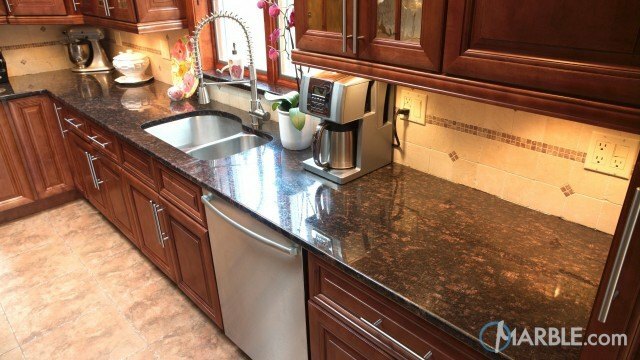 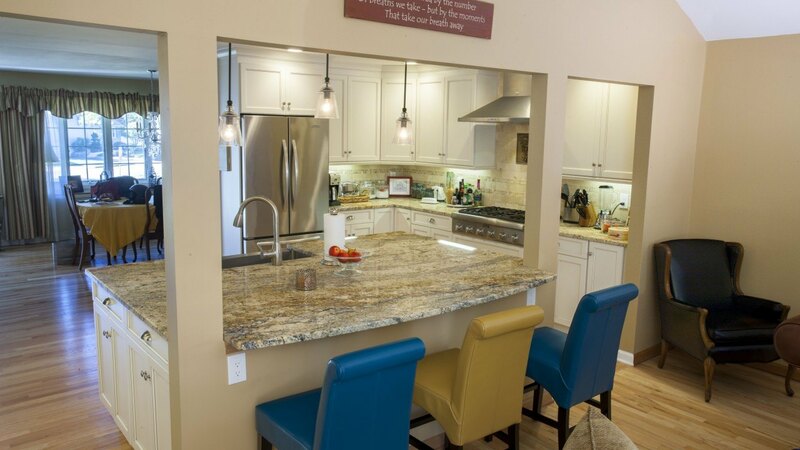 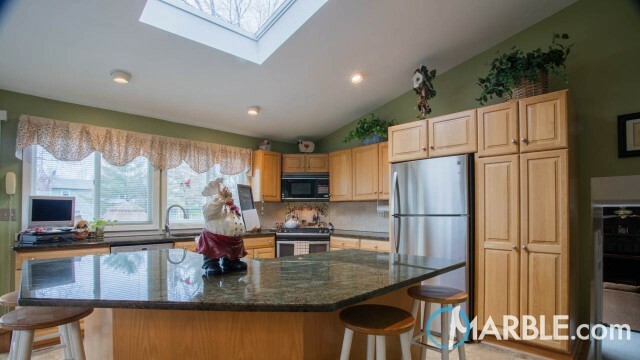 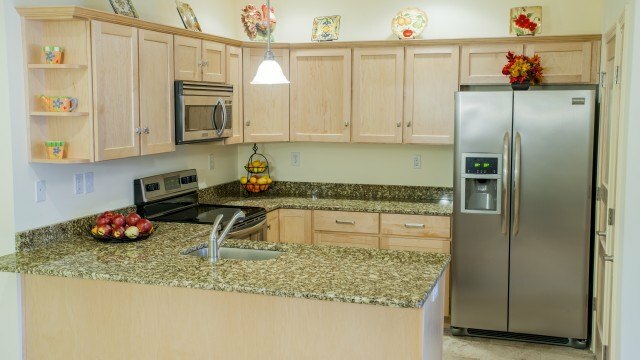 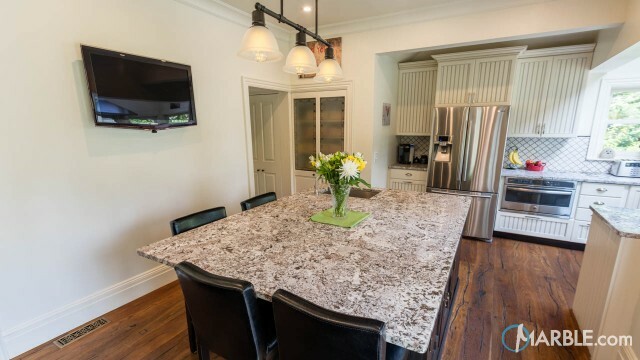 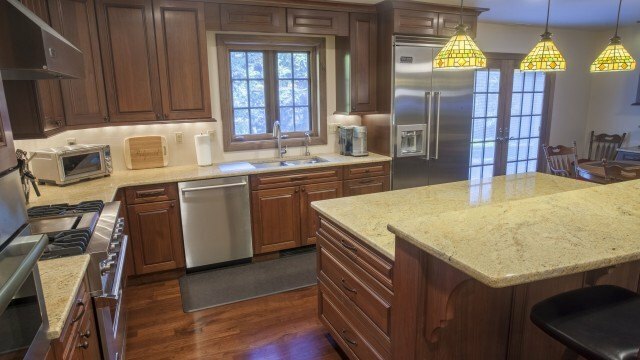 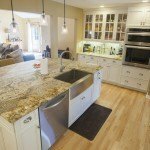 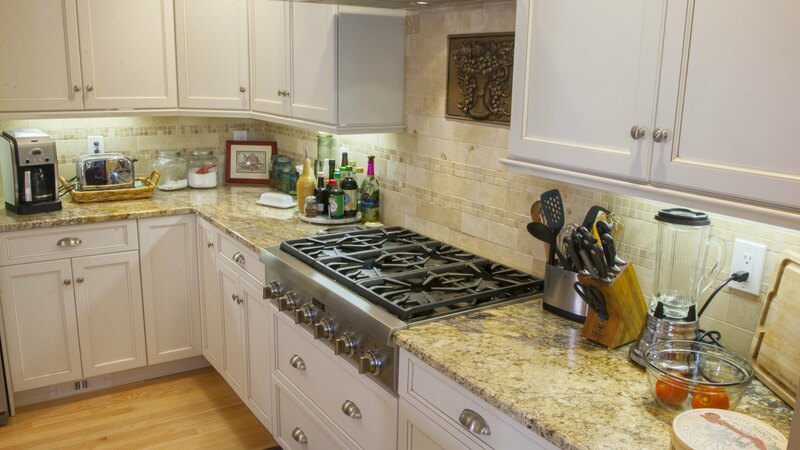 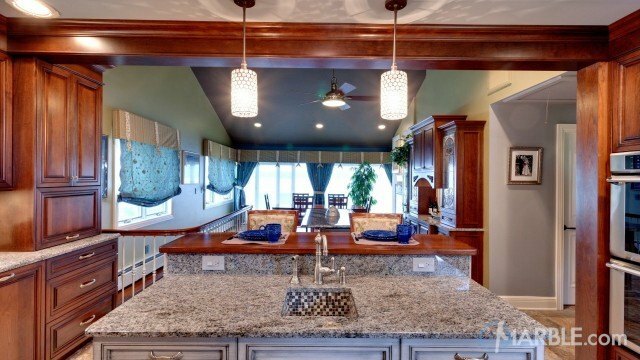 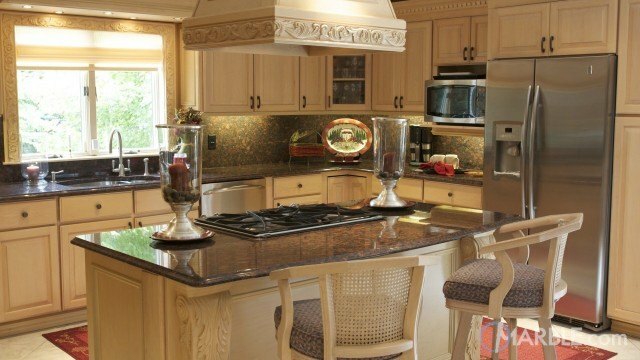 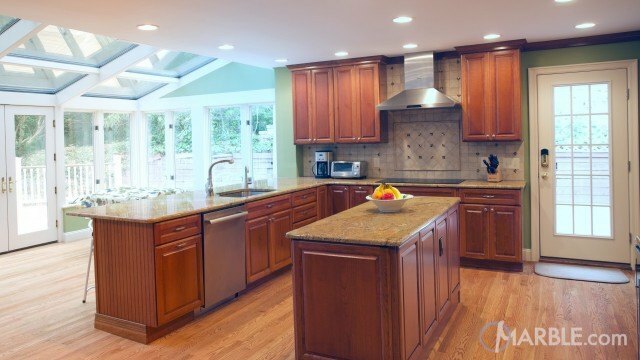 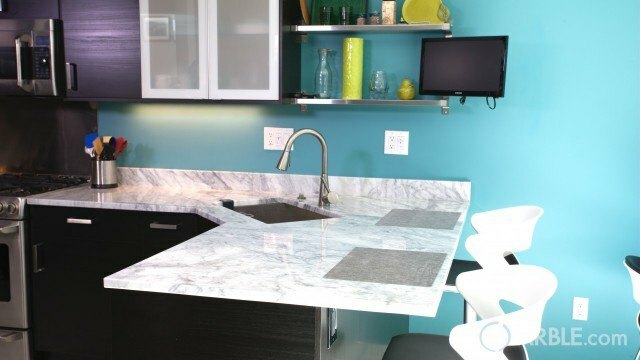 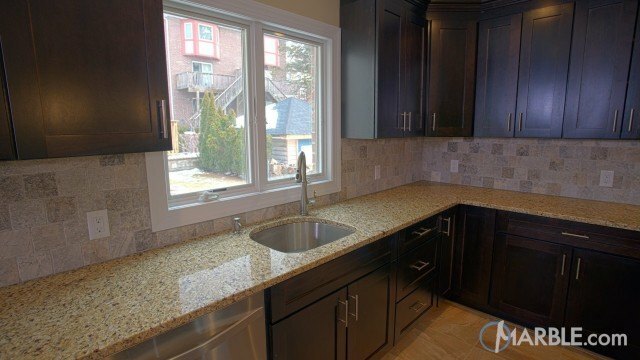 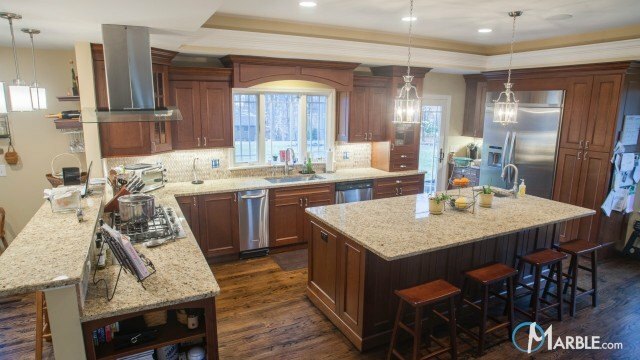 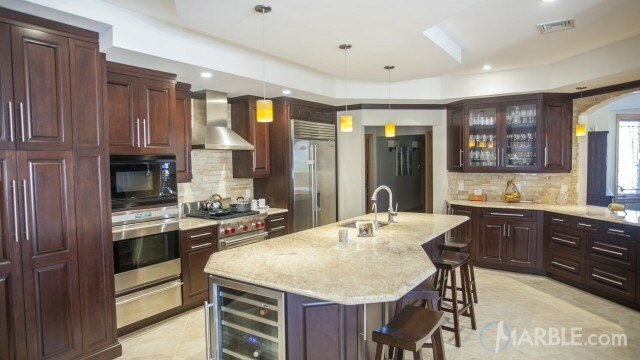 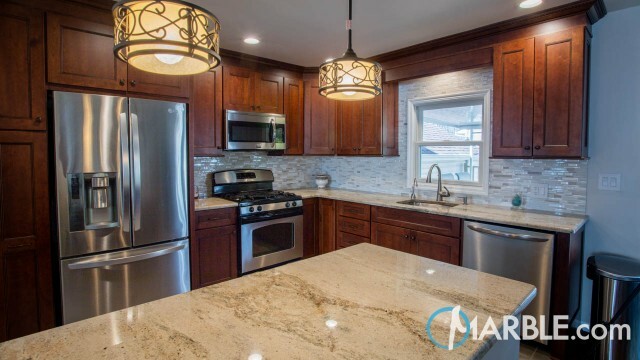 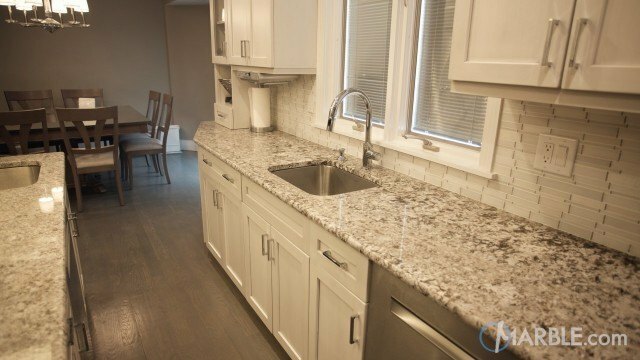 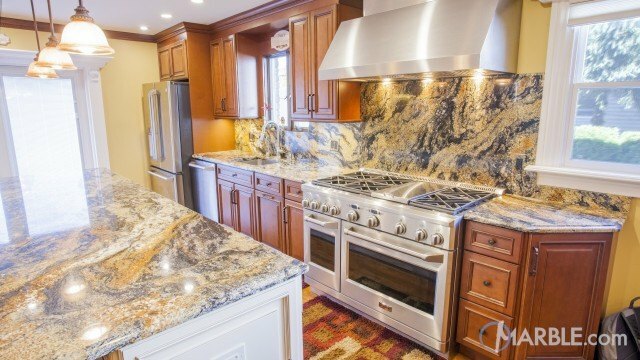 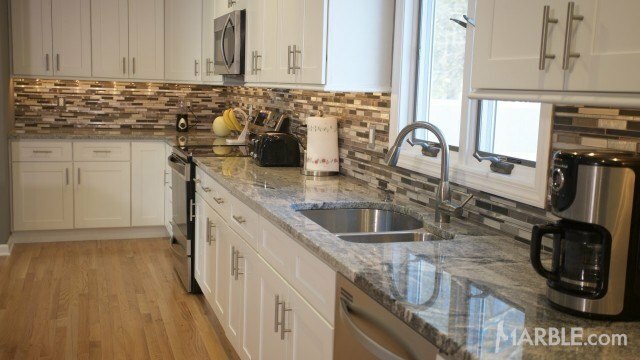 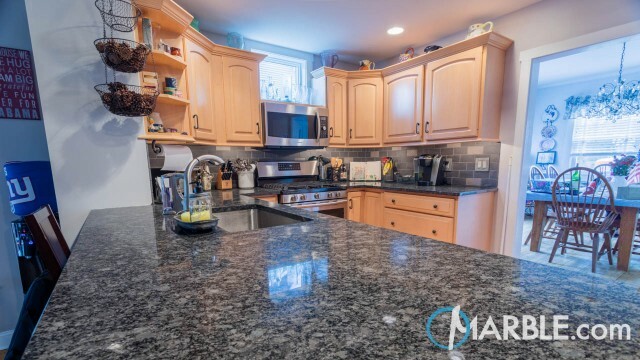 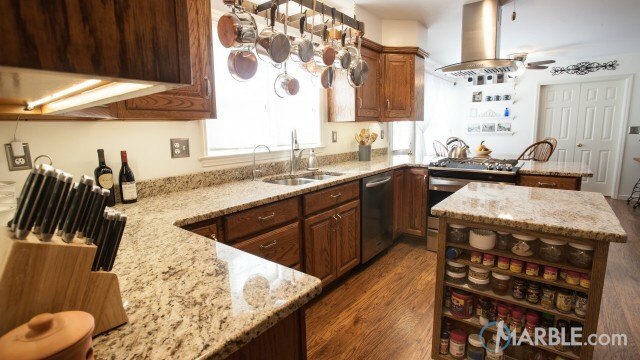 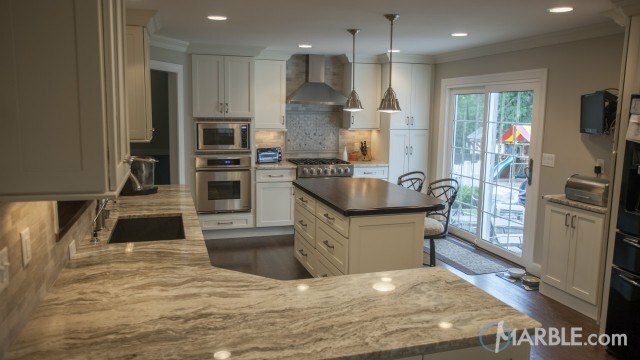 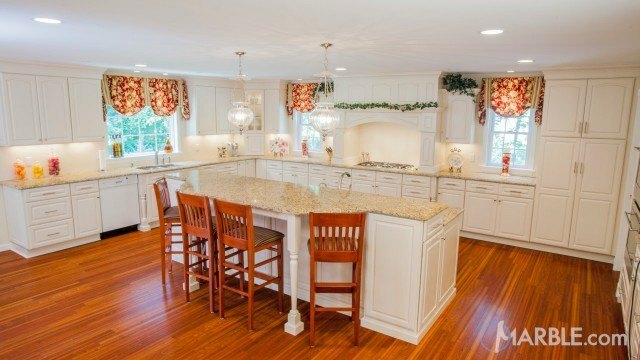 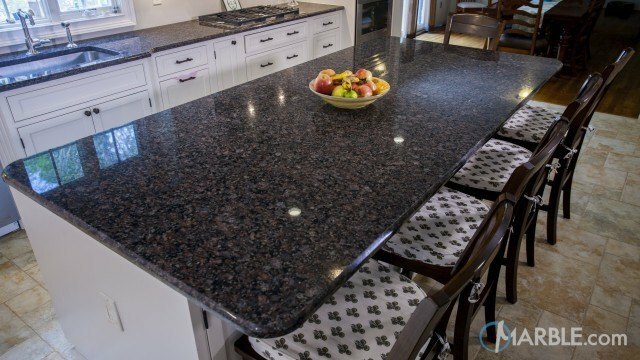 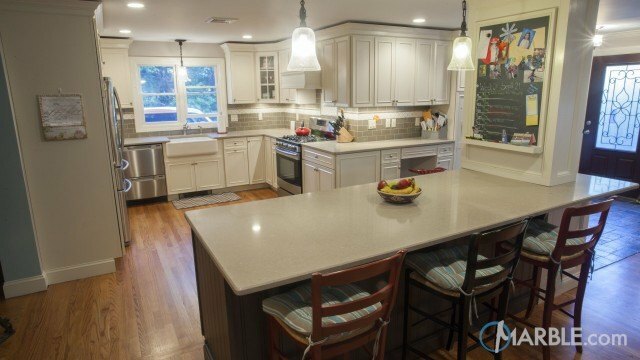 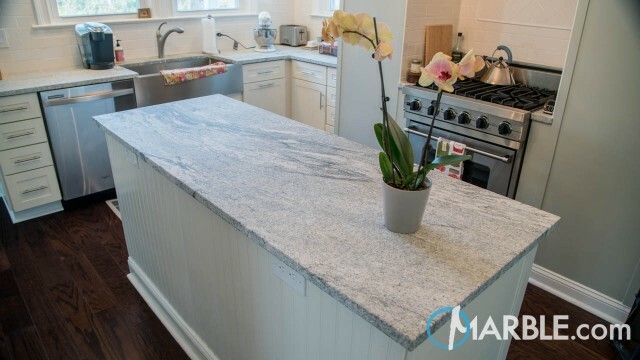 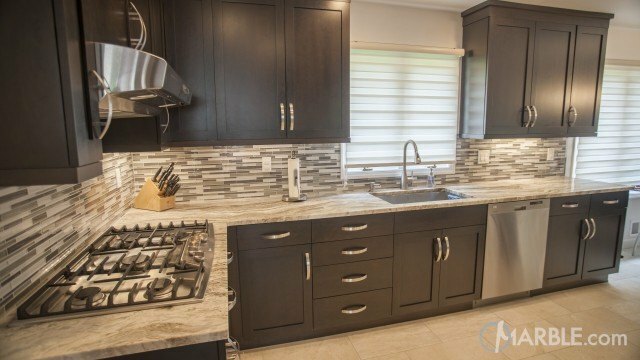 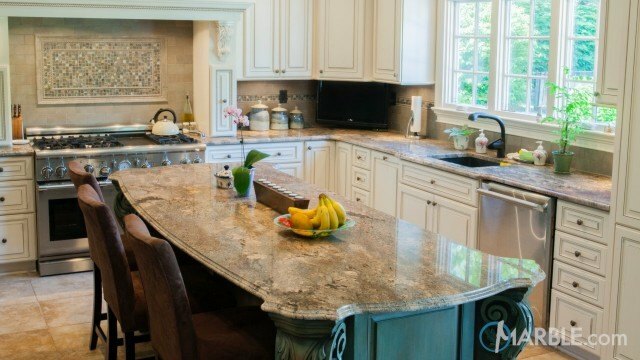 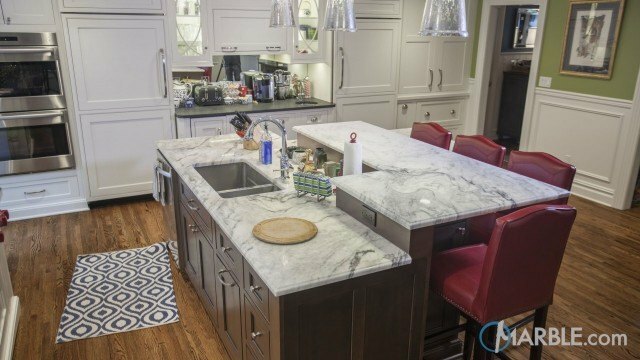 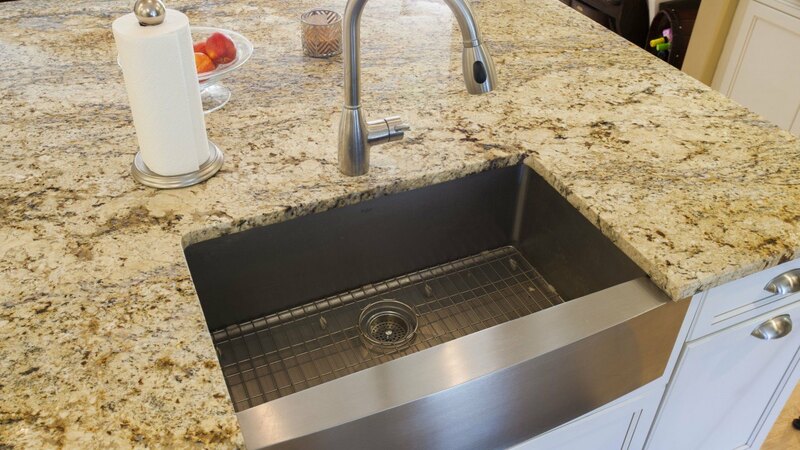 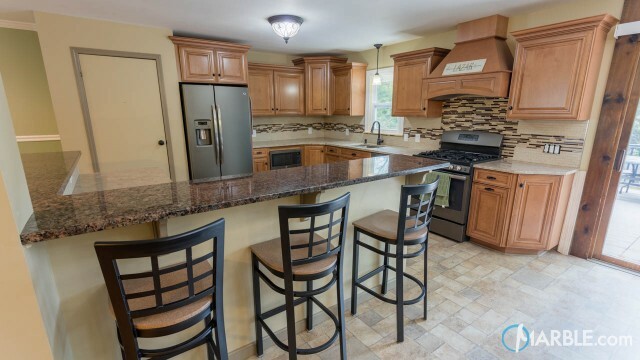 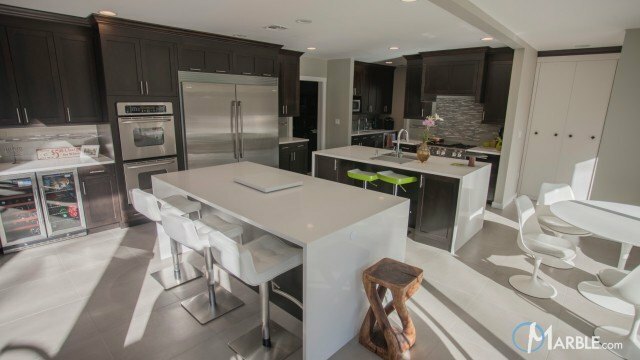 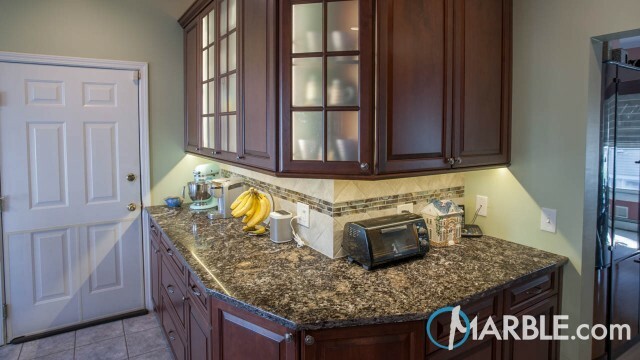 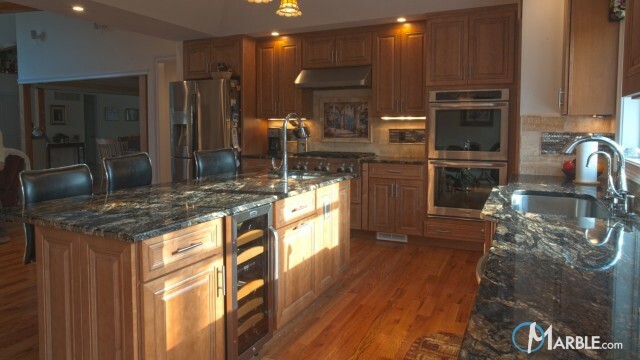 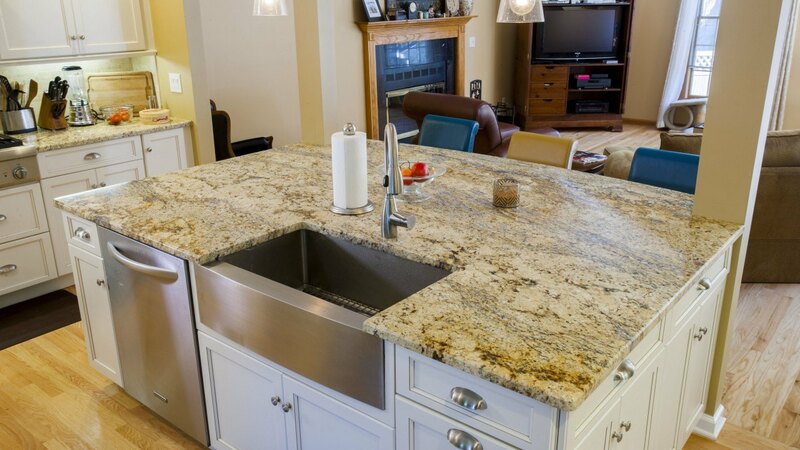 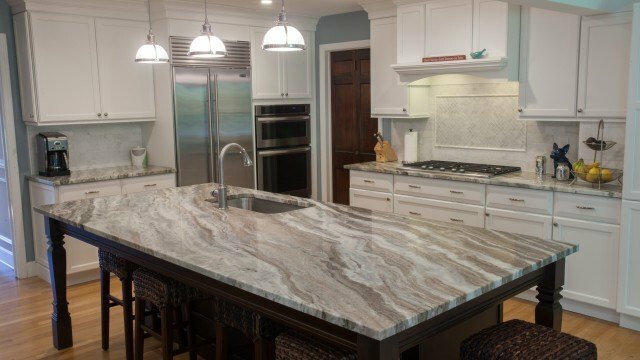 This Yellow River granite looks fantastic in this new sleek kitchen. 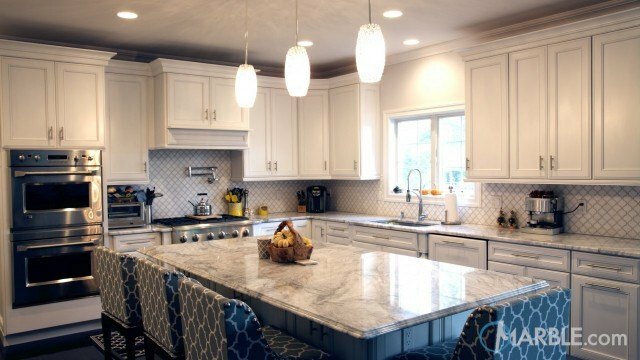 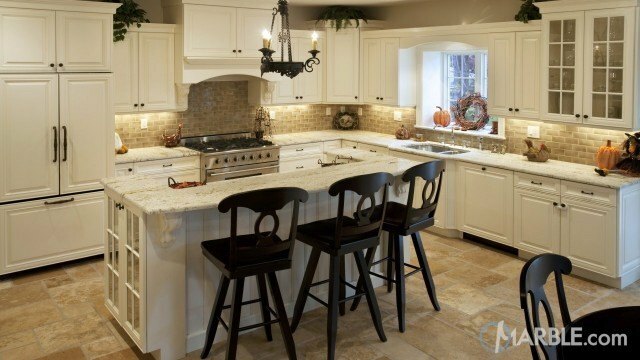 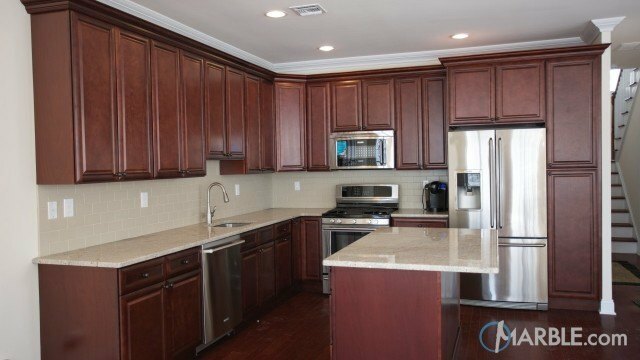 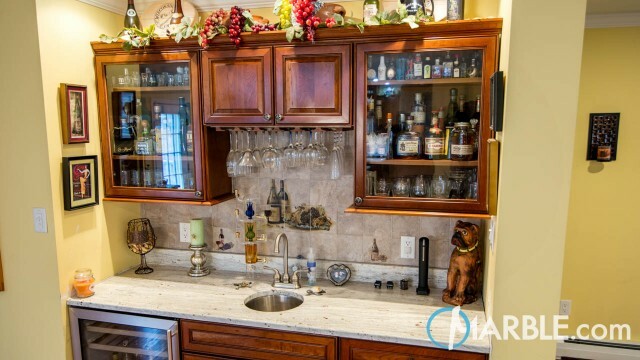 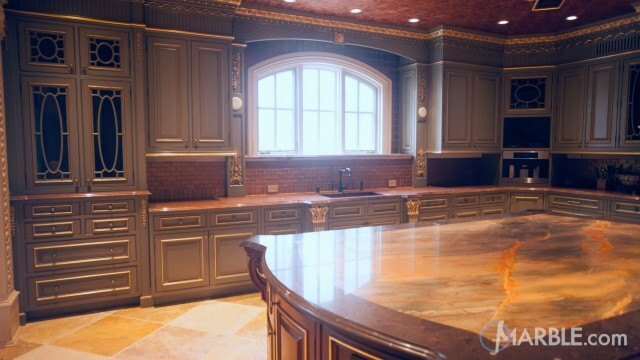 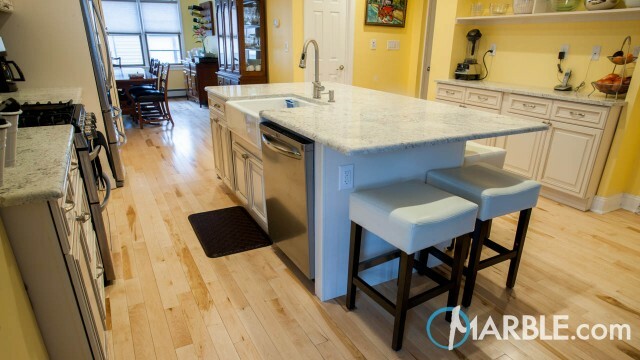 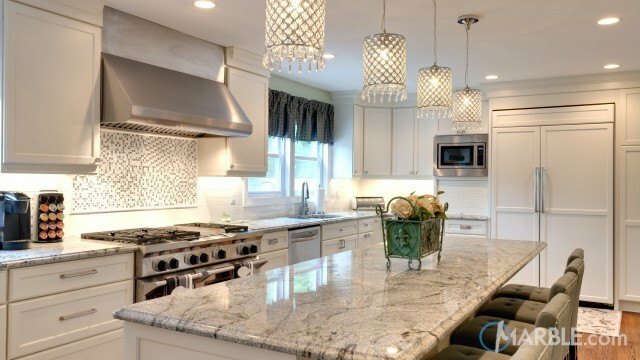 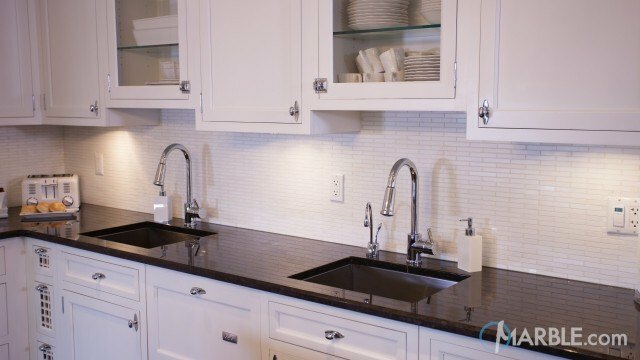 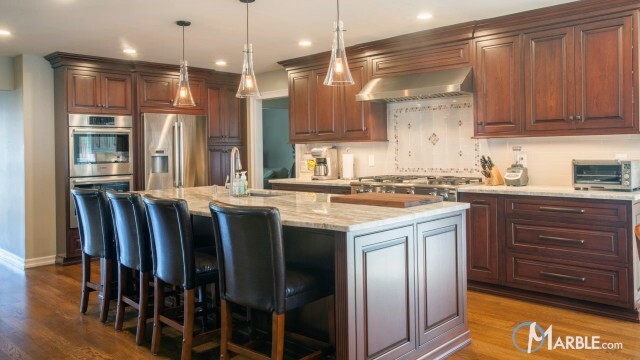 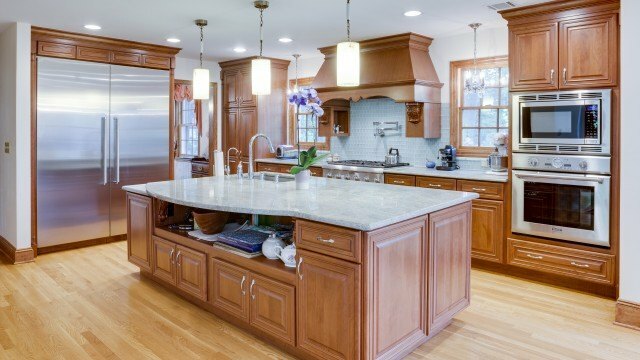 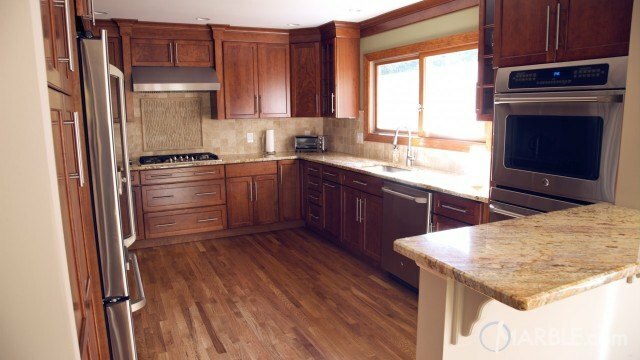 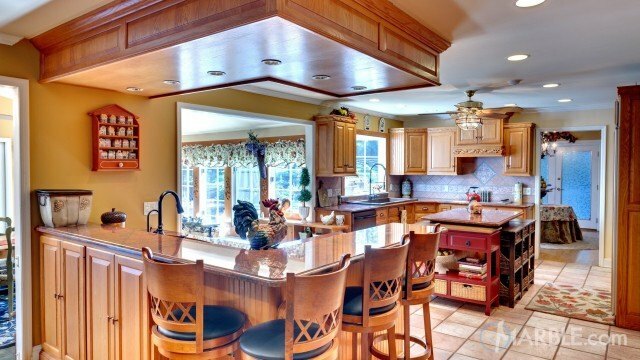 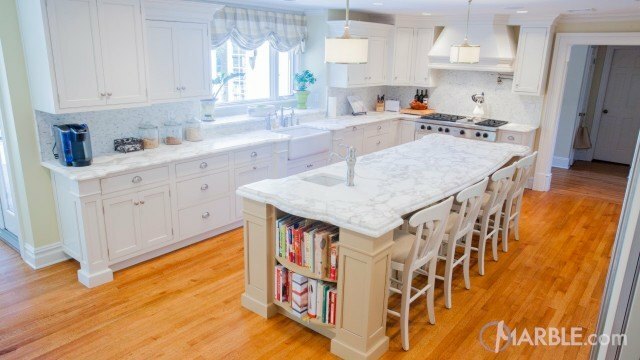 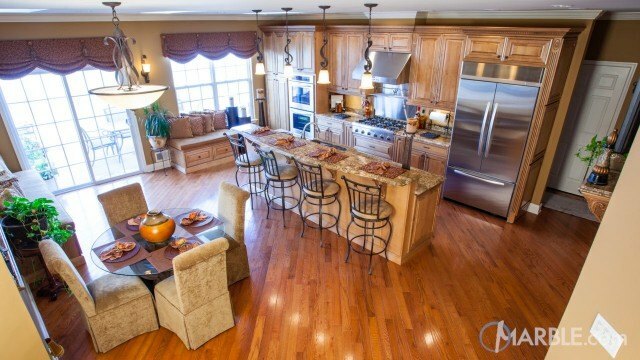 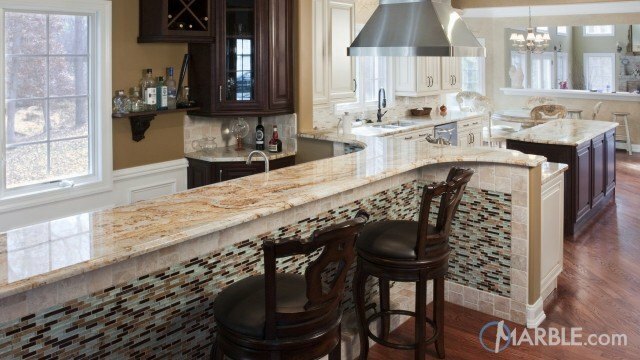 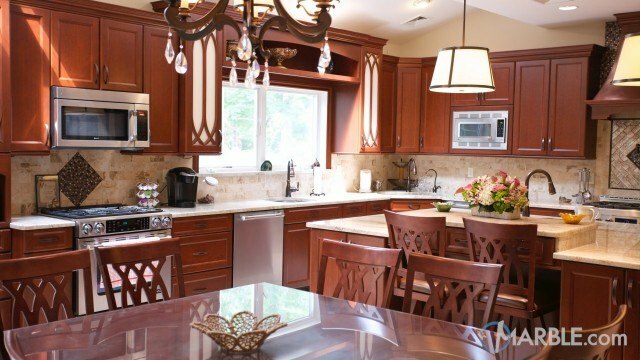 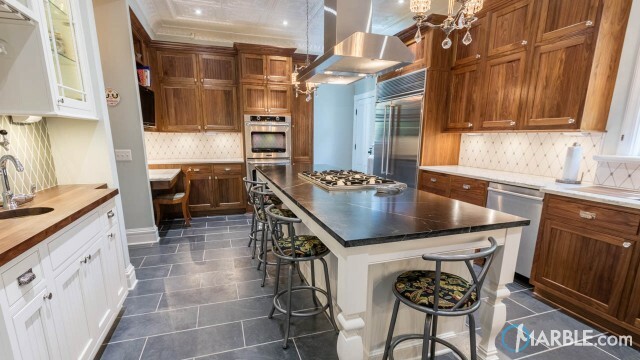 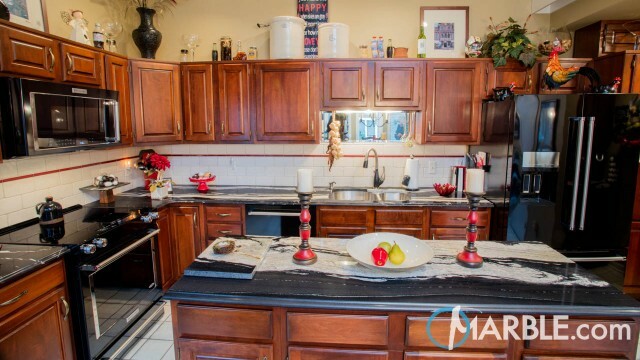 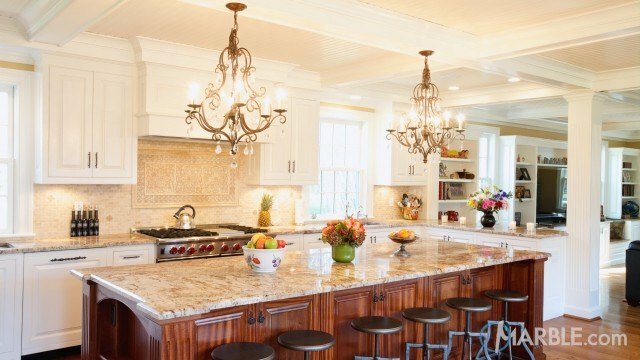 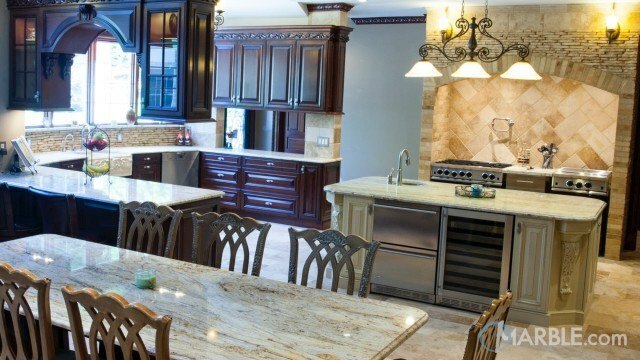 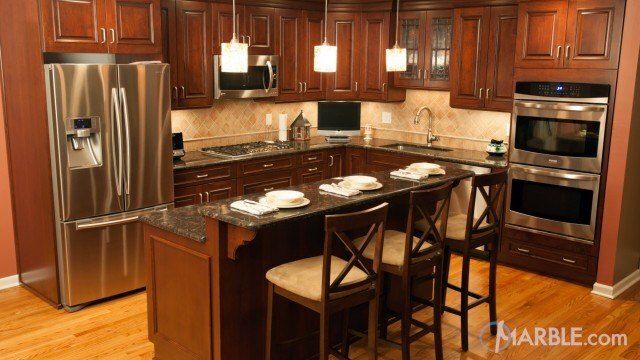 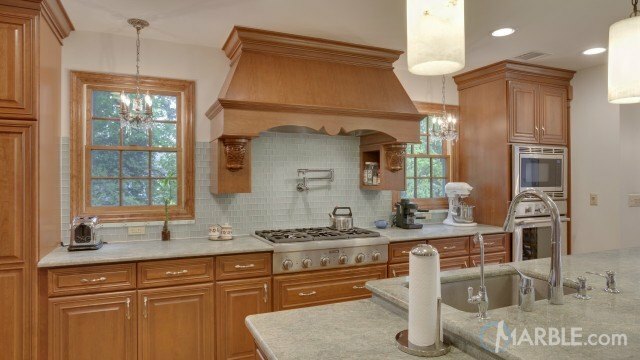 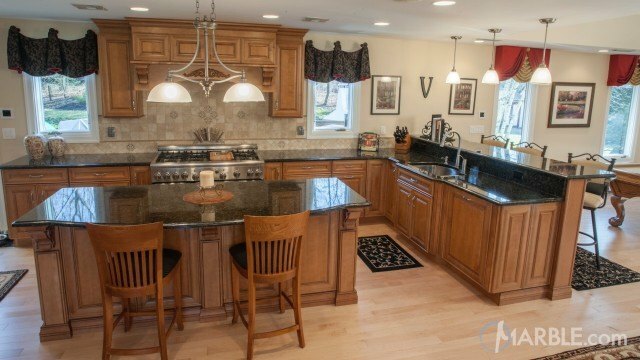 A mixture of classic beauty with sleek designs makes this kitchen pop. 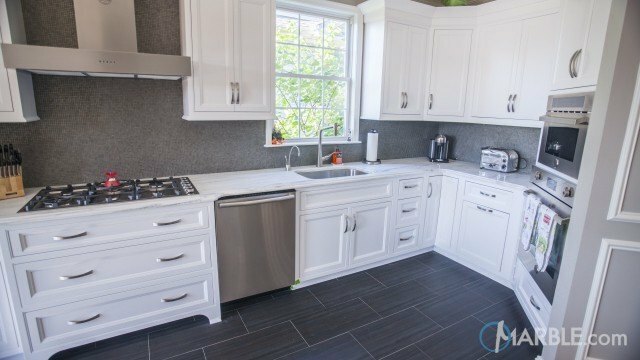 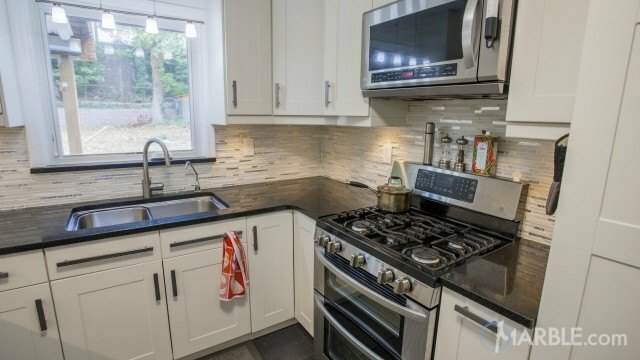 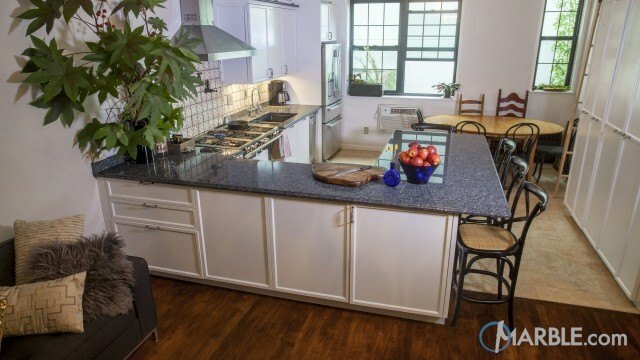 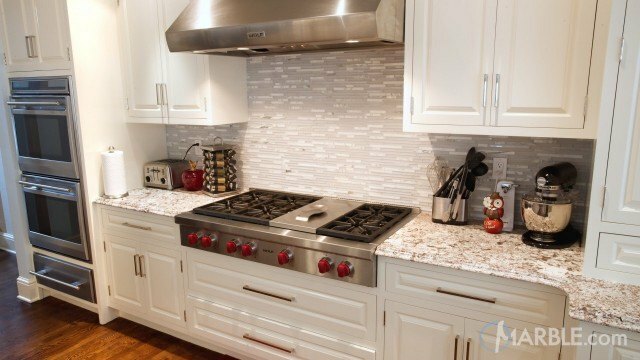 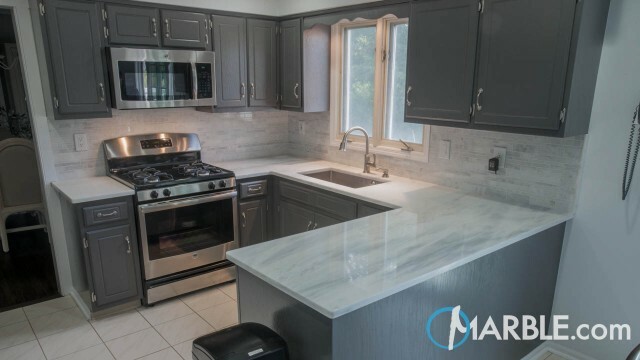 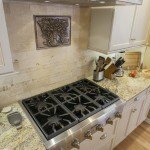 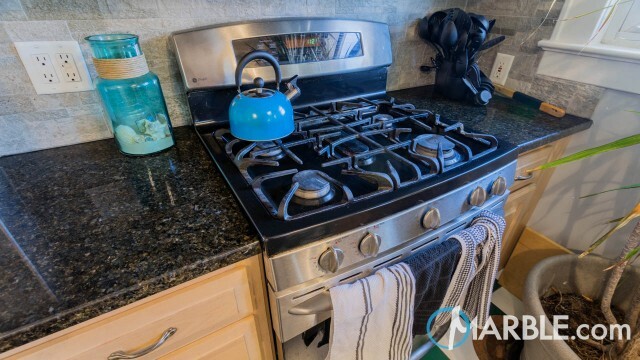 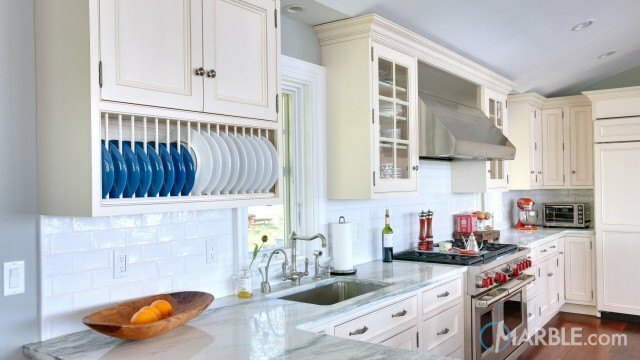 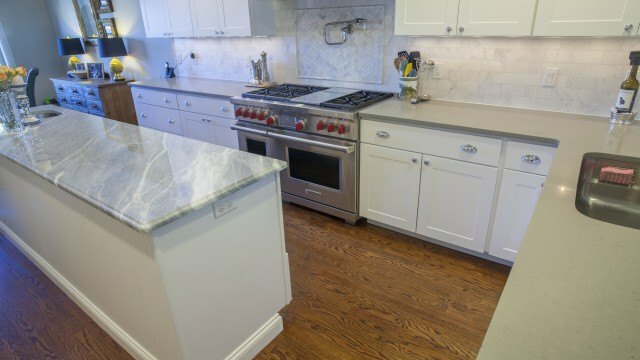 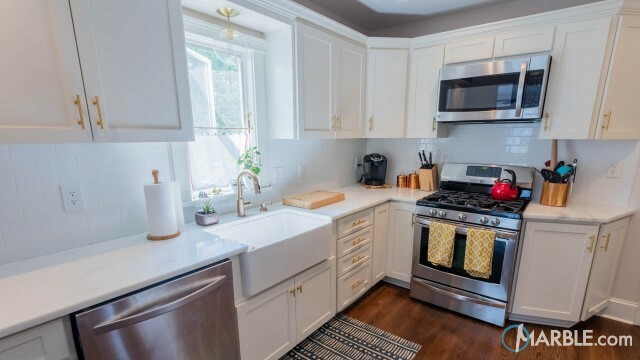 The 1/4 bevel edge and white cabinets add an element of modernism while the backsplash and oven vent give this kitchen hints of classic beauty.